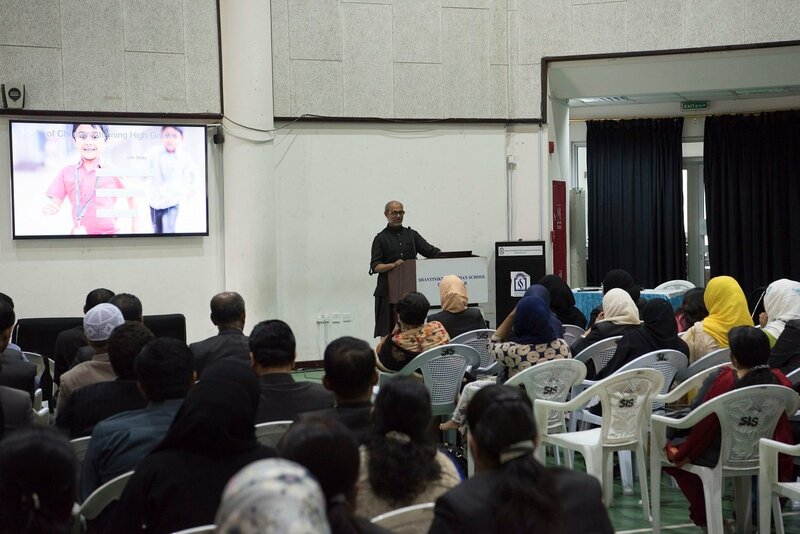 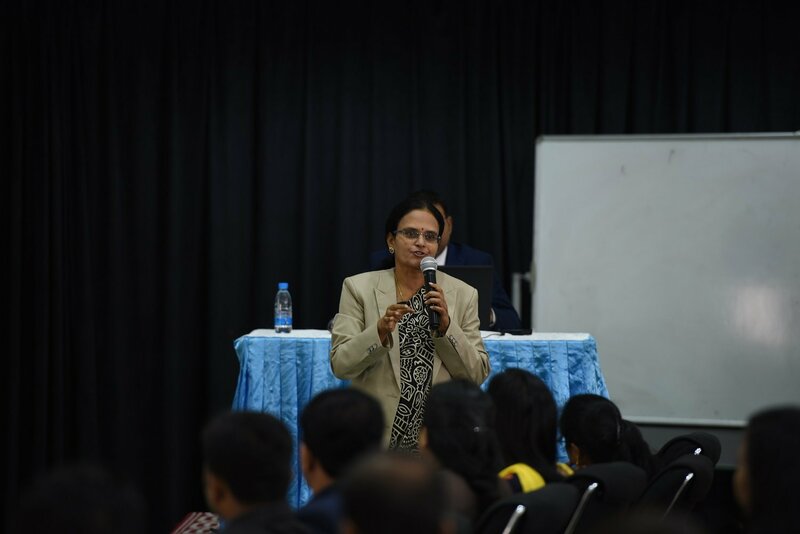 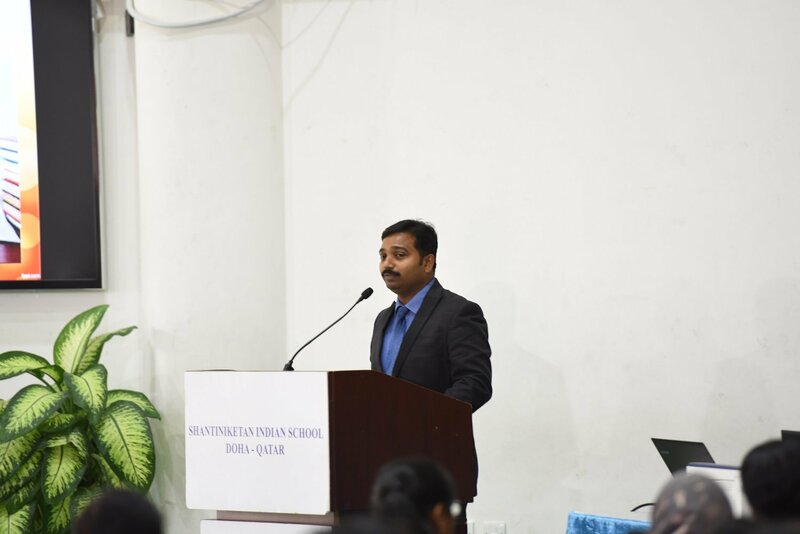 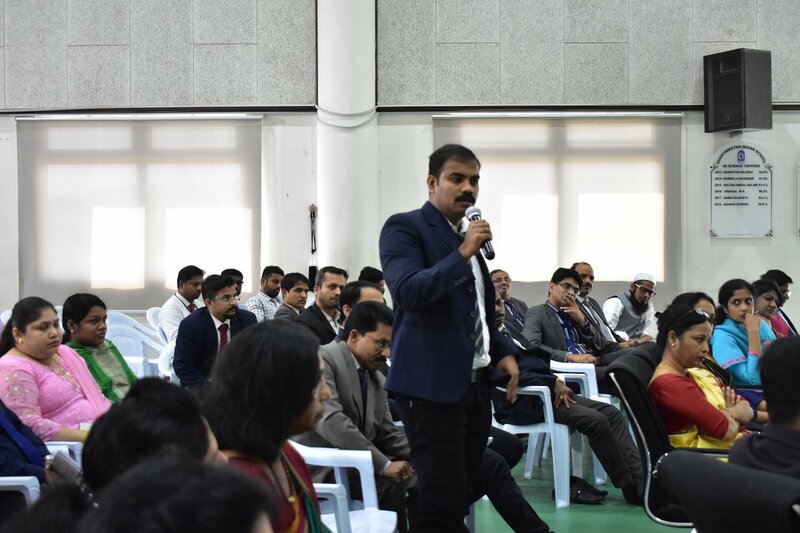 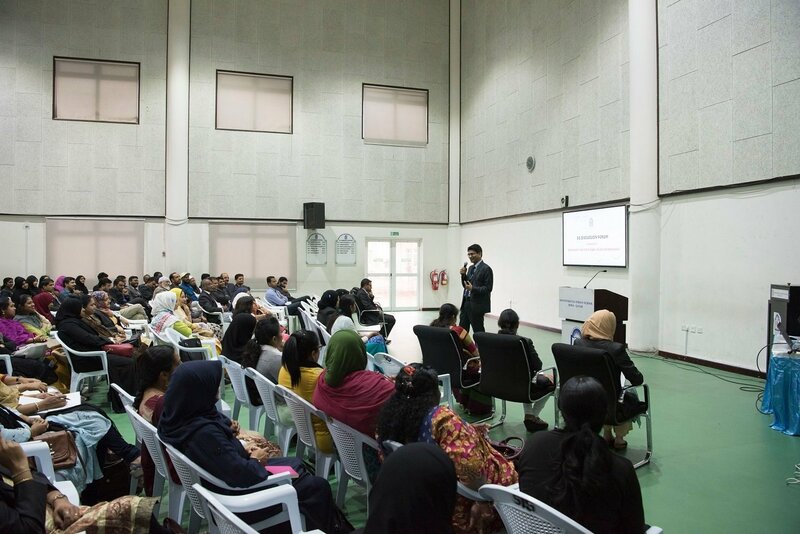 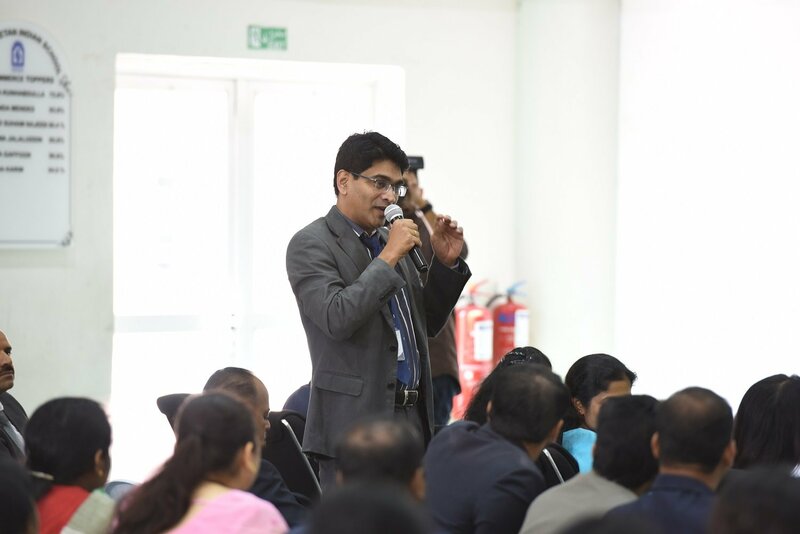 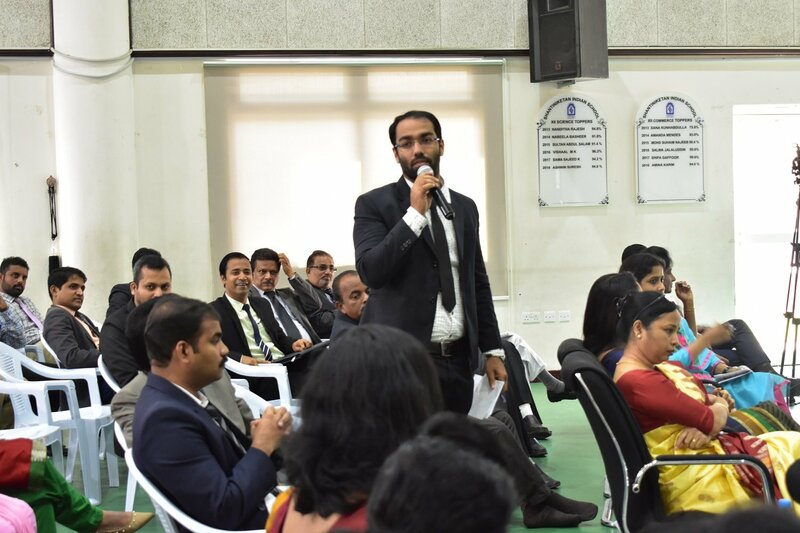 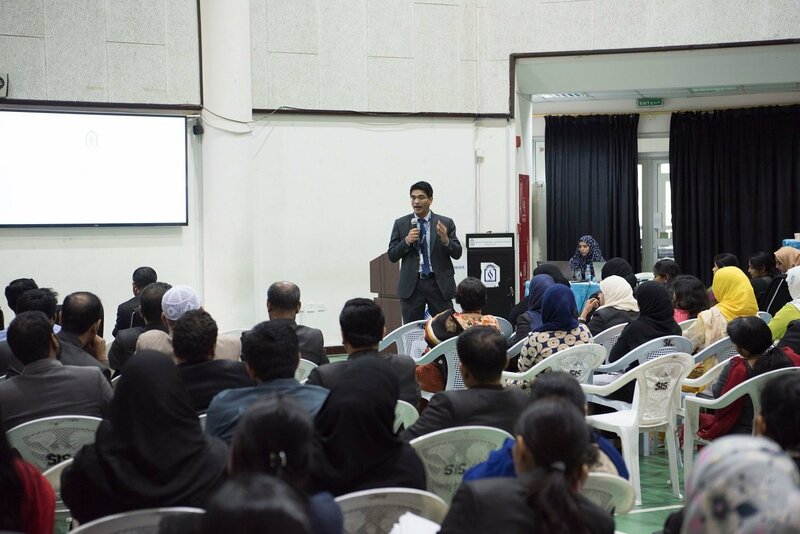 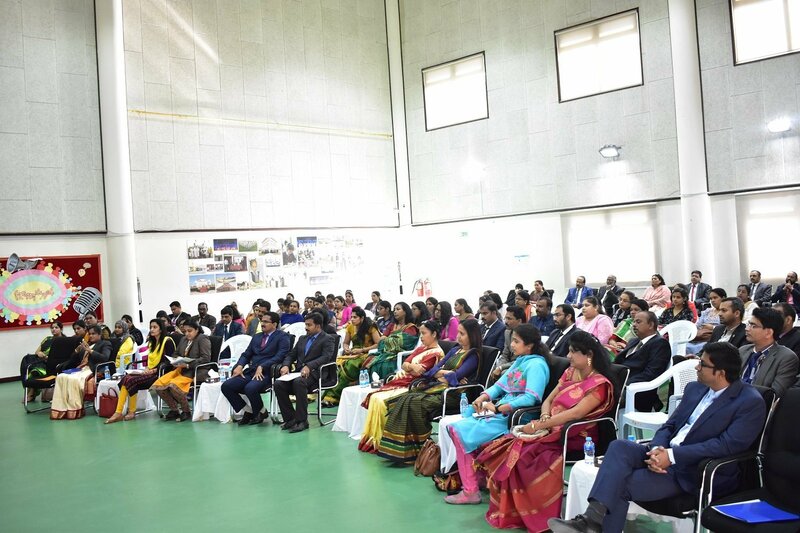 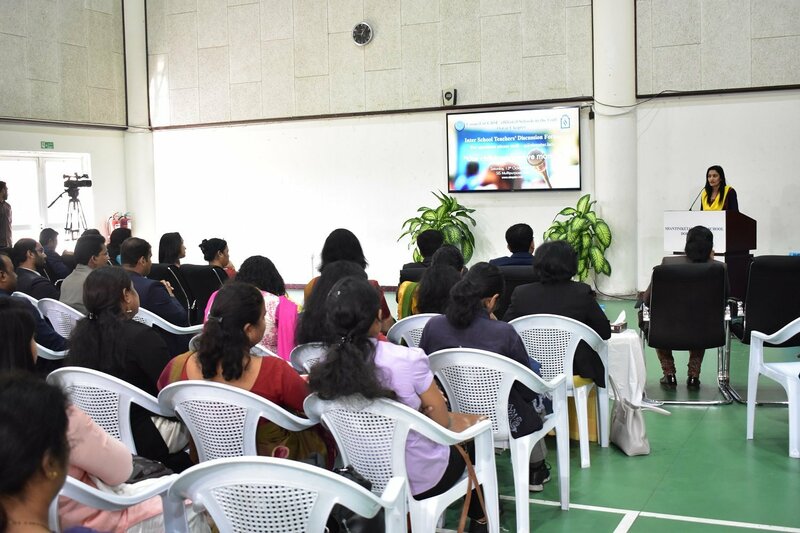 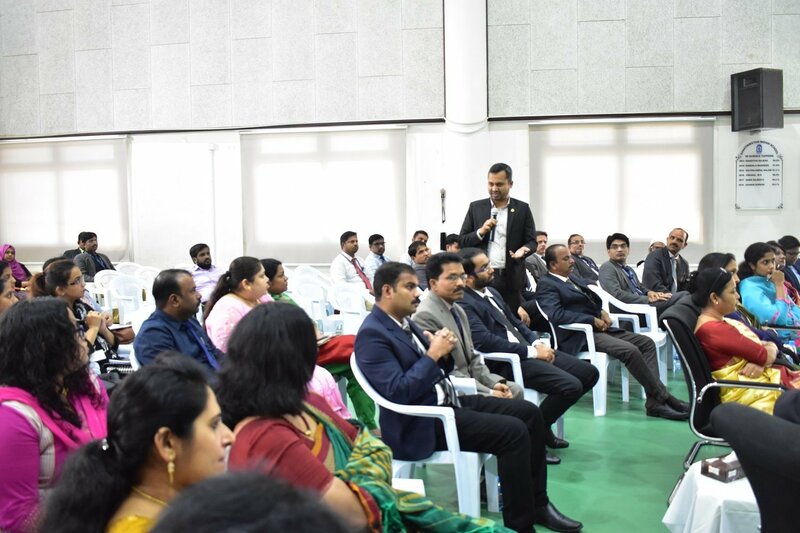 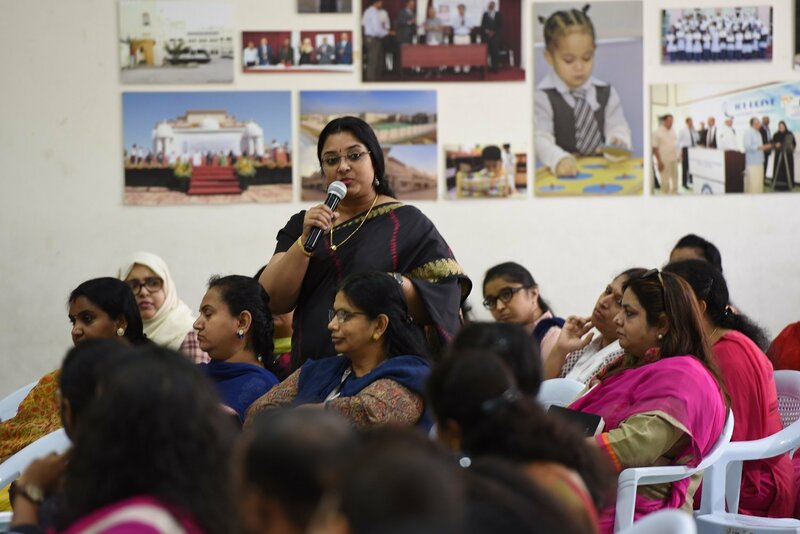 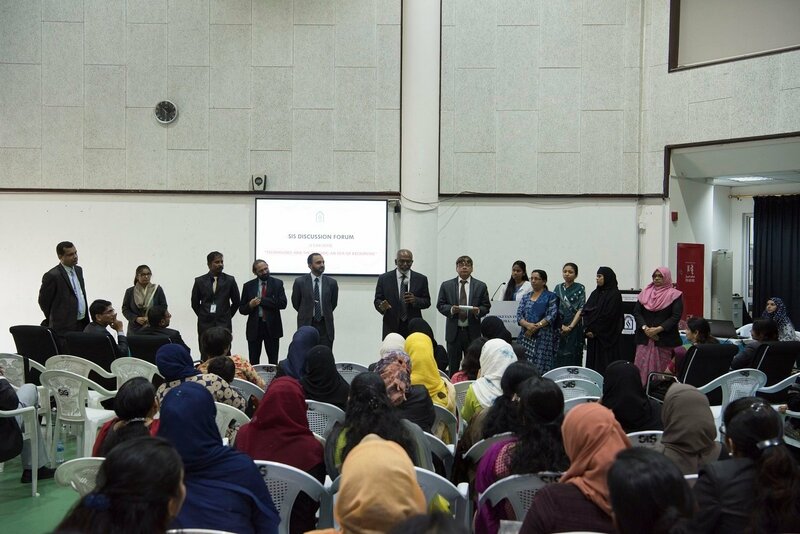 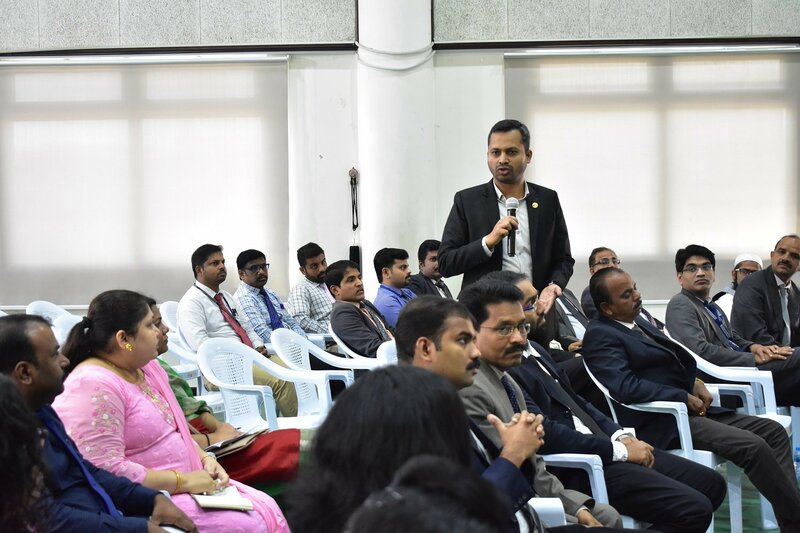 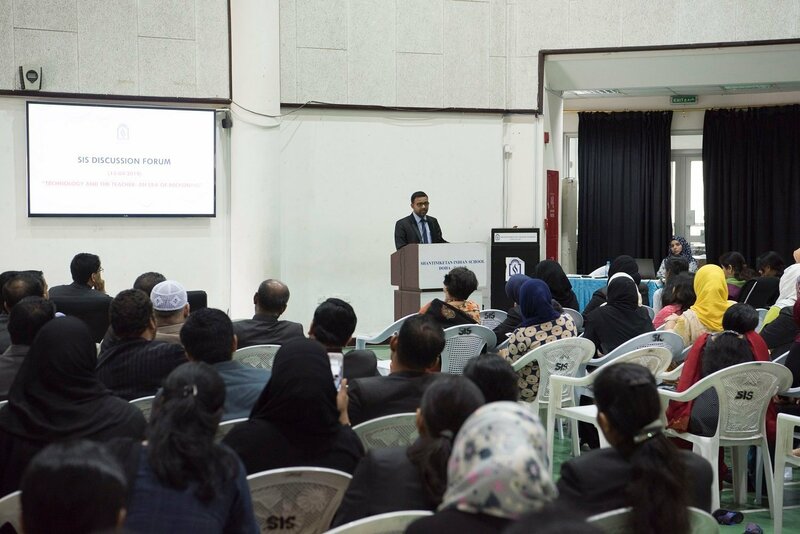 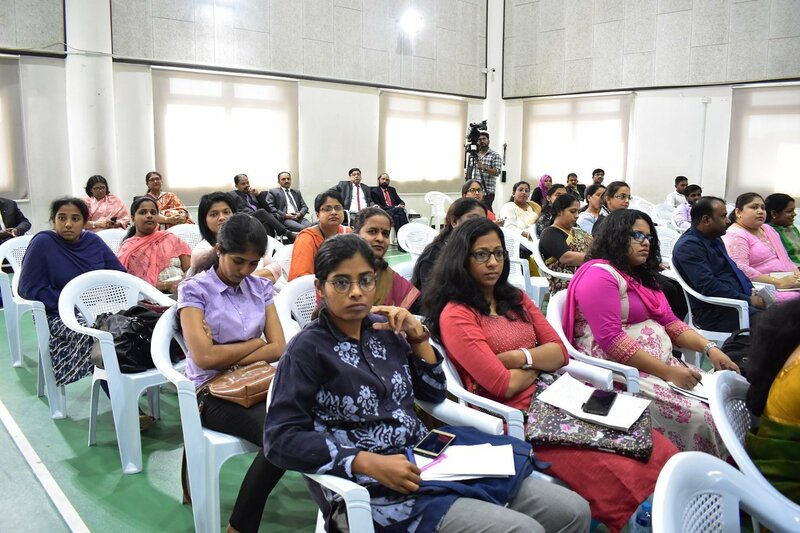 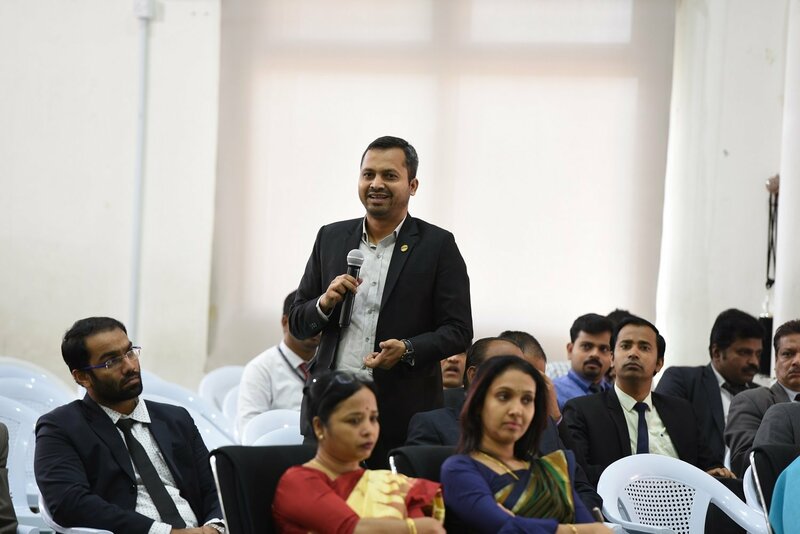 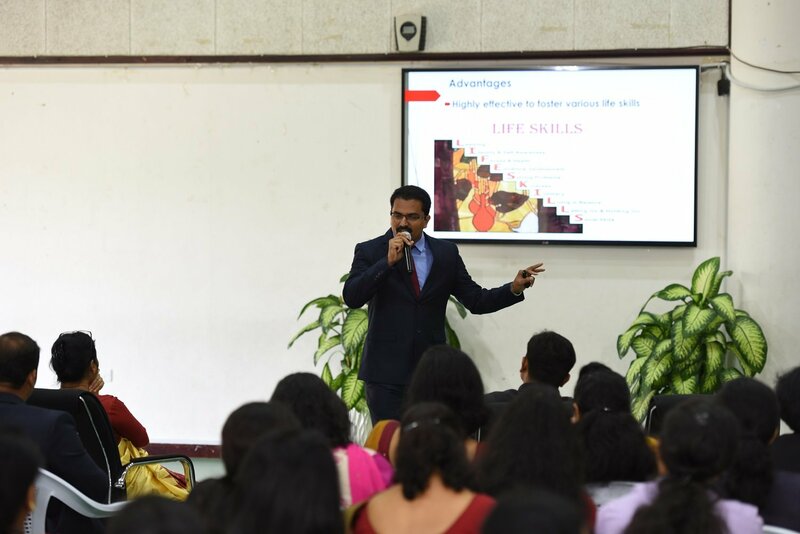 Twelve Indian Schools actively participated in an intensive discussion that focused on “Our Children Deserve More…” on Saturday 13th October 2018. 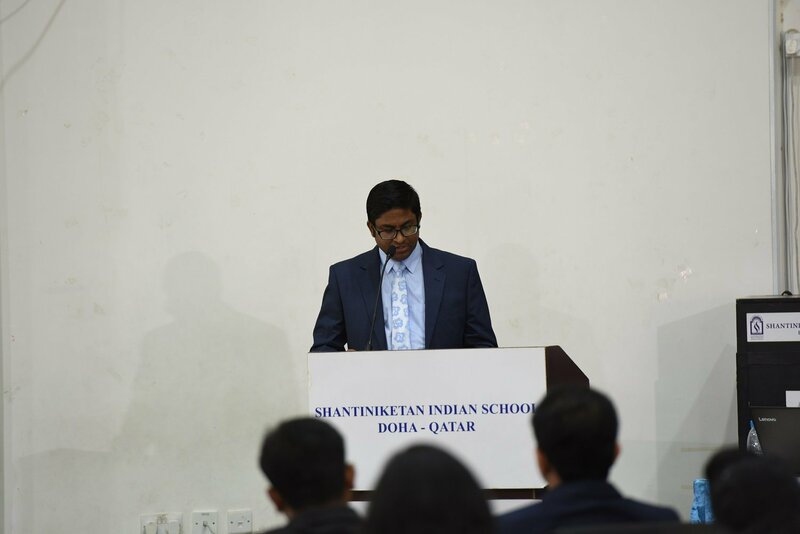 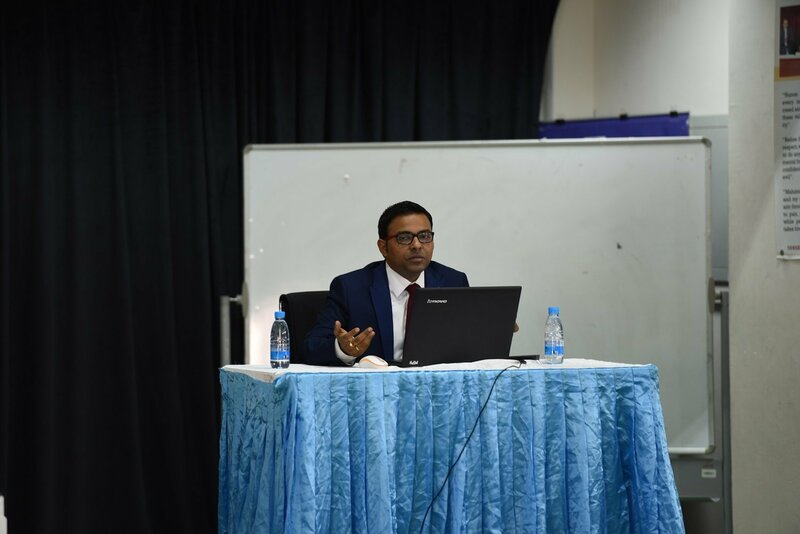 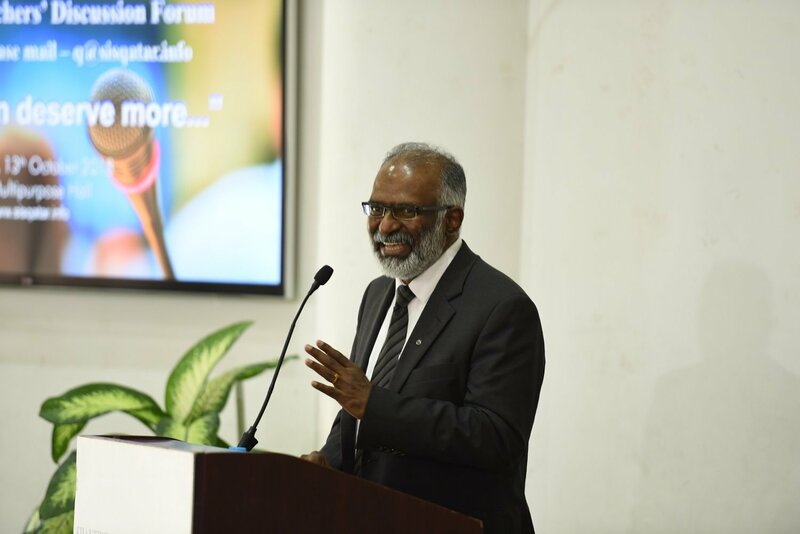 Moderator, Mr. Austin Solomon, set the tone by reflecting on the transformation of chalk and talk method to the present scenario of active digital teaching and learning which needs to be further developed to prepare the children for dynamic, social and economic changes of the future. 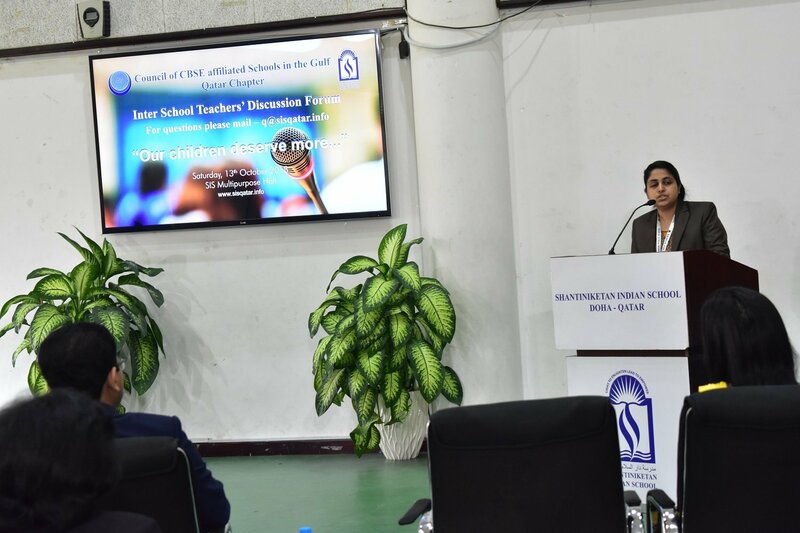 The discussion stressed on the need of self-driven learning facilitating the children to be self-driven learners, which will cater to growth and development through experience and research. 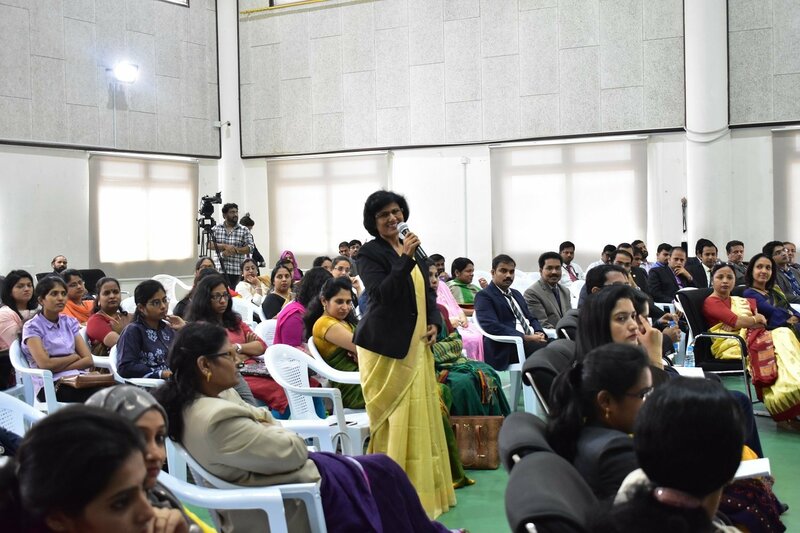 Panel members reflected on a need for the modification in the assessment system, delinking achievements to support self-driven learning. 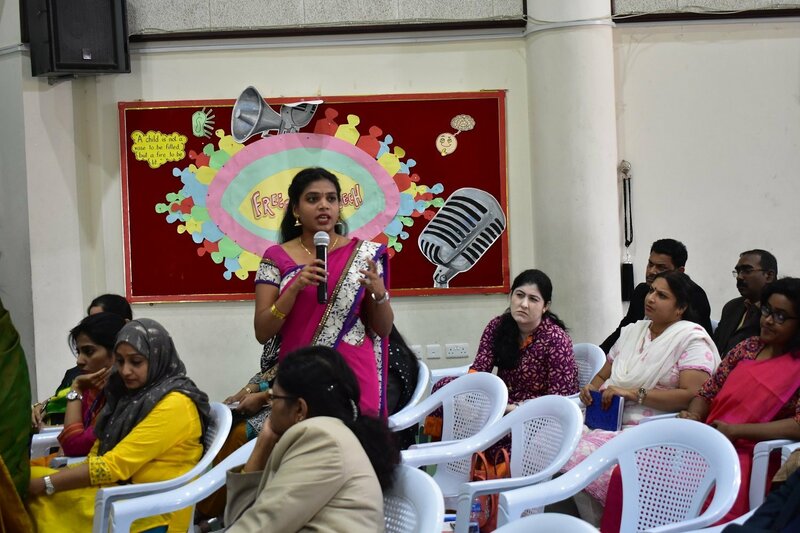 The need for a shift from instructional based lessons to introspectional, where critical and creative thinking supports reasoning and logical thinking, replacing rote learning and traditional assessments. 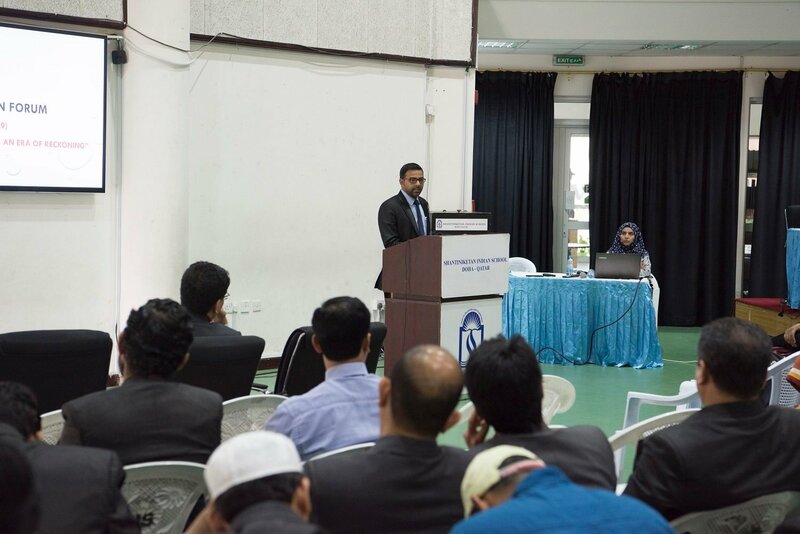 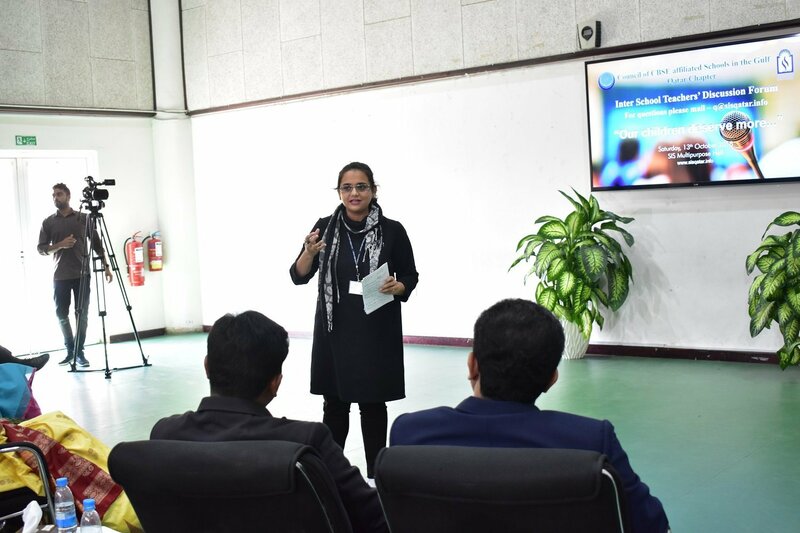 Members considered the role of leaders in innovating data driven system to enhance digital platforms augmenting learning through virtual reality. 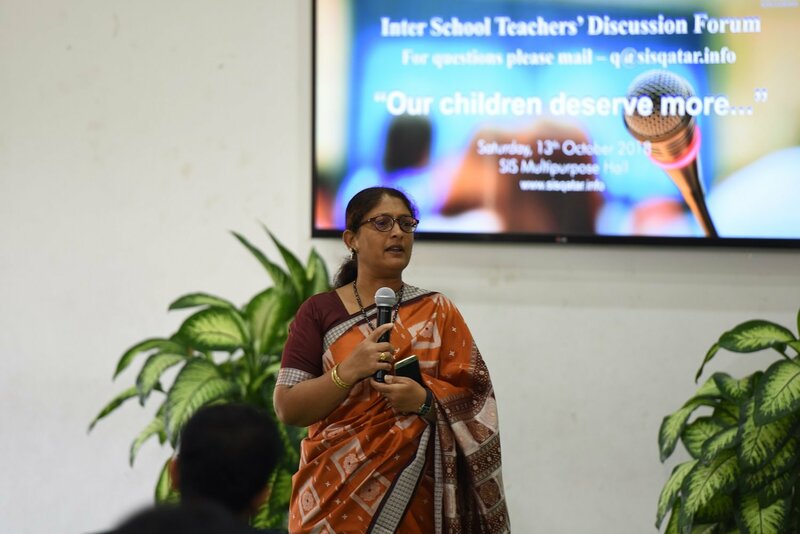 The discussion emphasized on encouraging children to be more pragmatic. 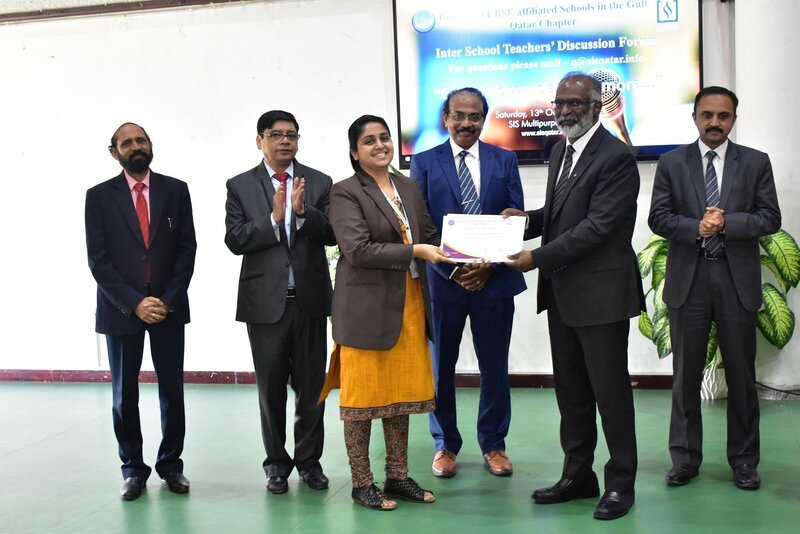 Dr. Subhash Nair, Principal Shantiniketan Indian School appreciated the members and honoured them with certificate of participation. 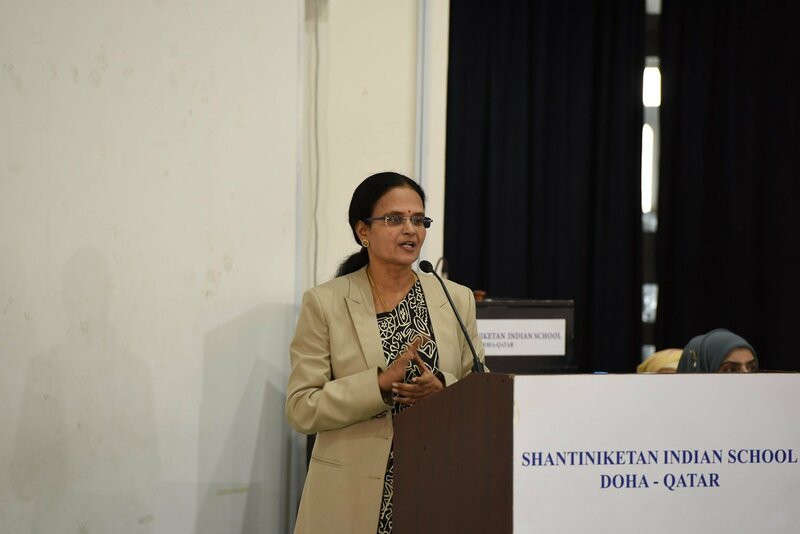 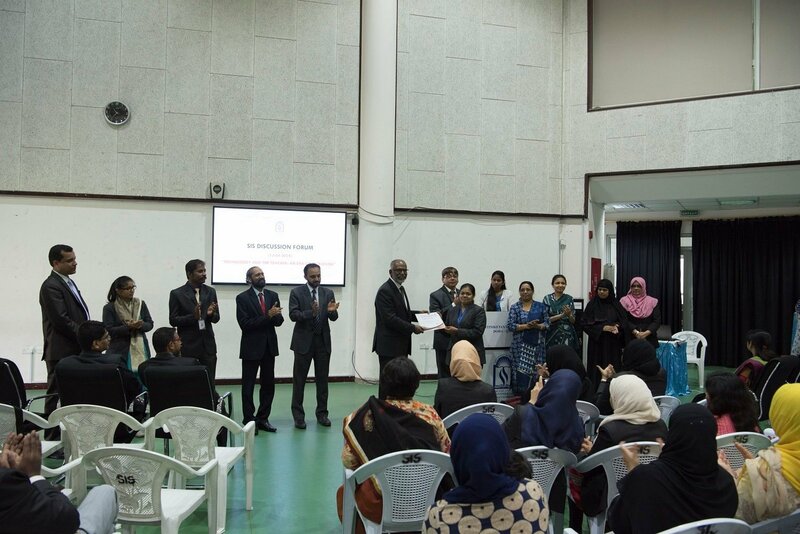 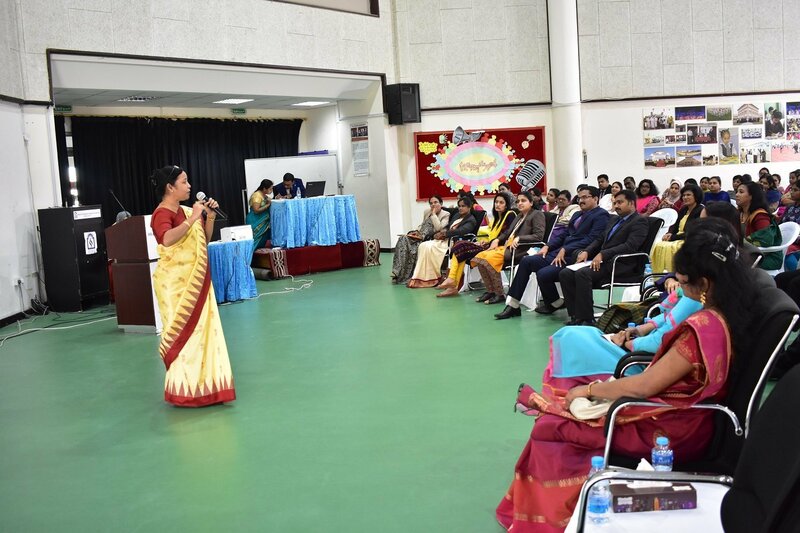 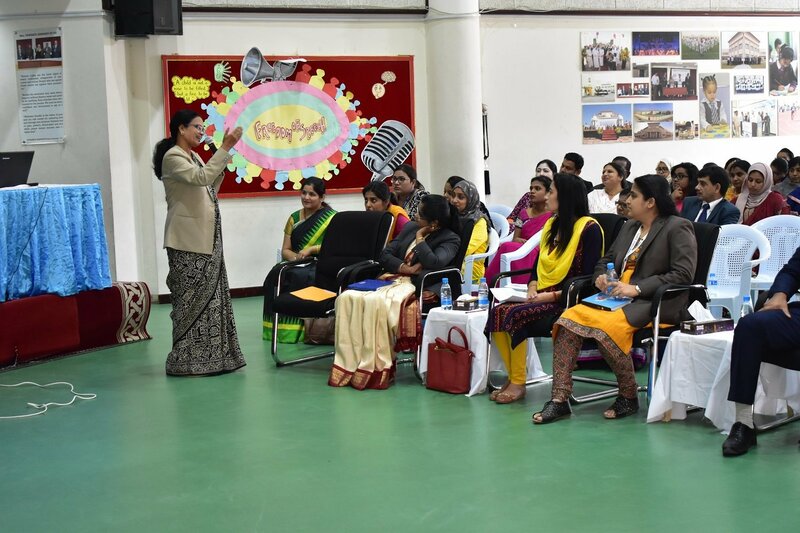 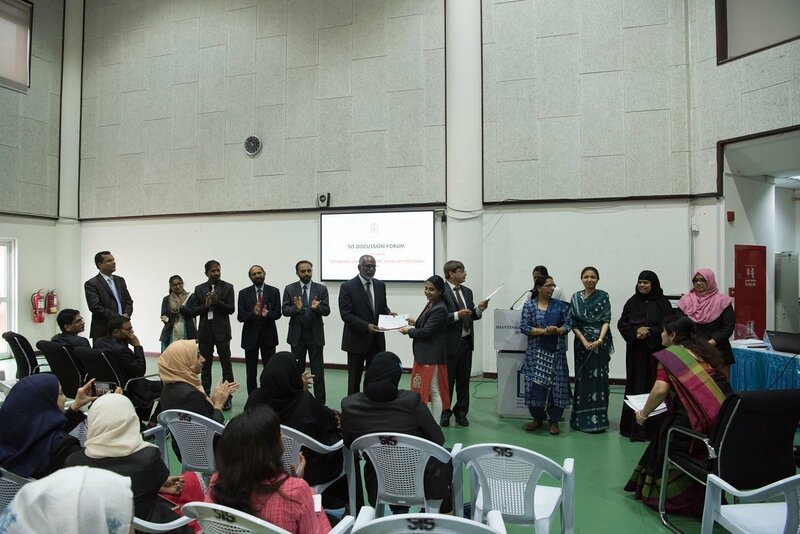 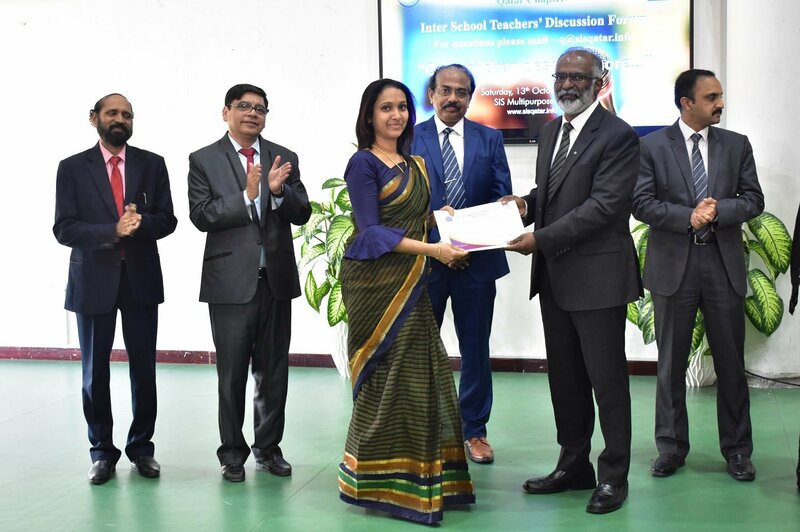 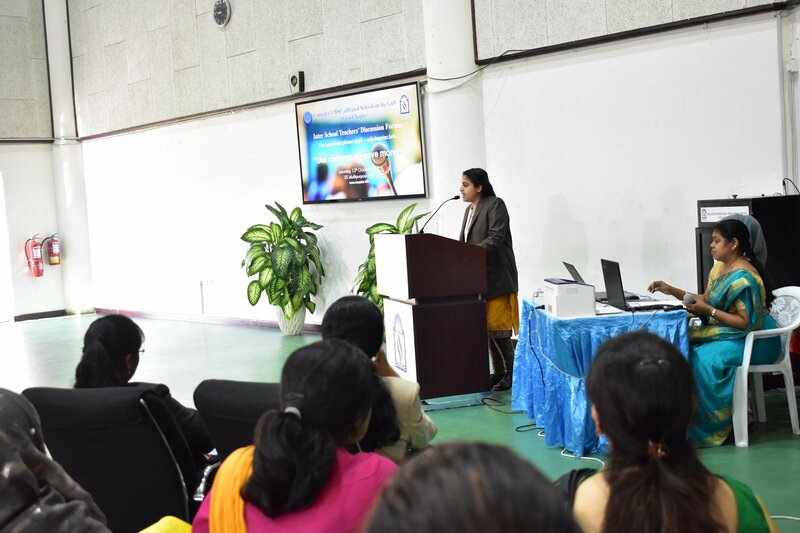 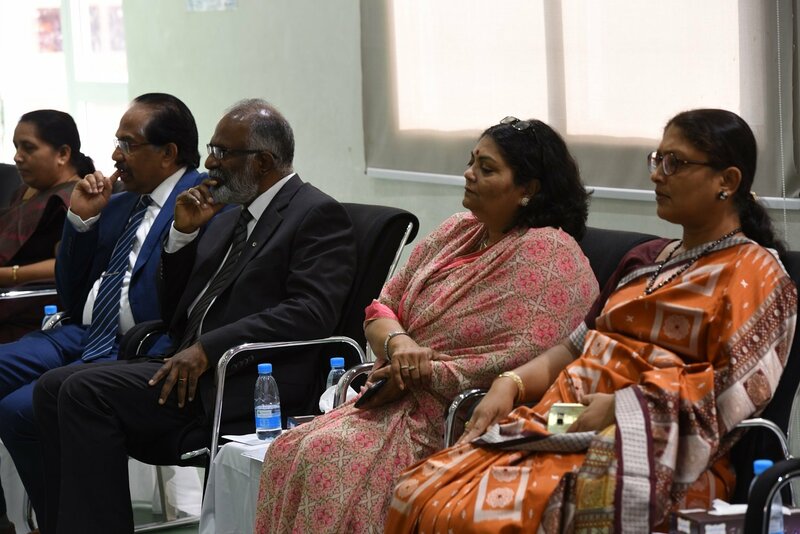 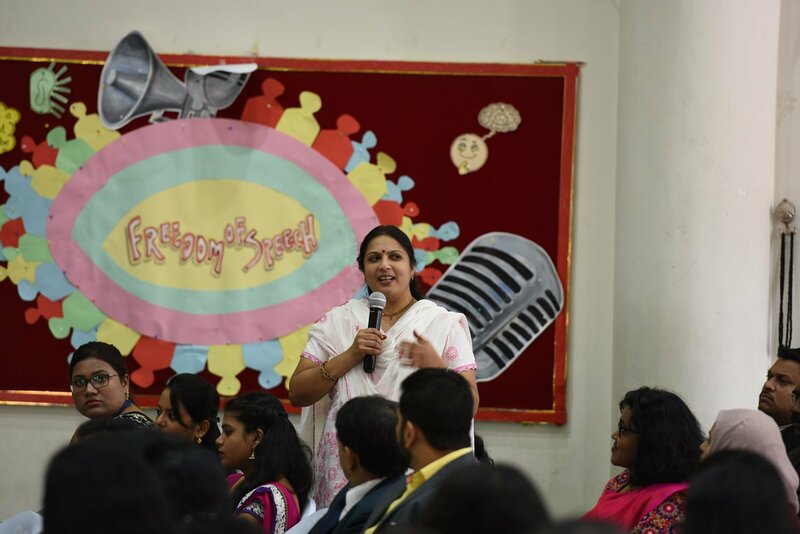 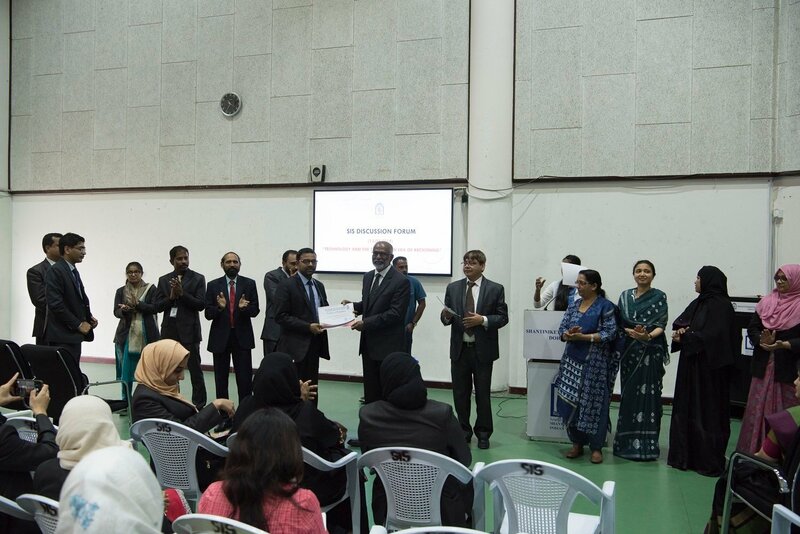 Ms. Nazia Tasheen, thanked the Principals of Bhavans Public School, DPS – MIS, Pearl School and the panel Members, Ms. Bhavna V.C, Ms. Magdalene Sylvia, Ms. Jolly Thomas, Mr. Dipin Joseph, Ms. Sithara Manoj, Mr. Dinabandhu, Ms. Sandhya, Ms Amritha Shalini Paul, Ms. Haseena Begum, Ms Punam Antil and Mr. Thomas Francis for their active participation. 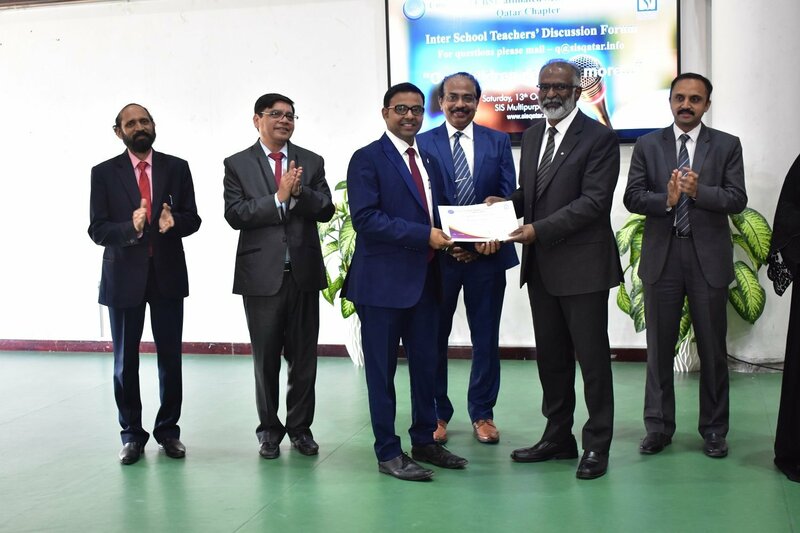 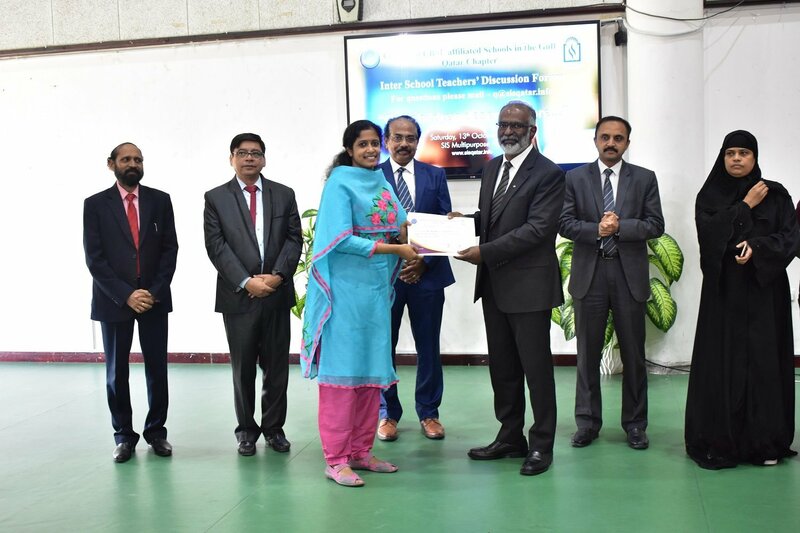 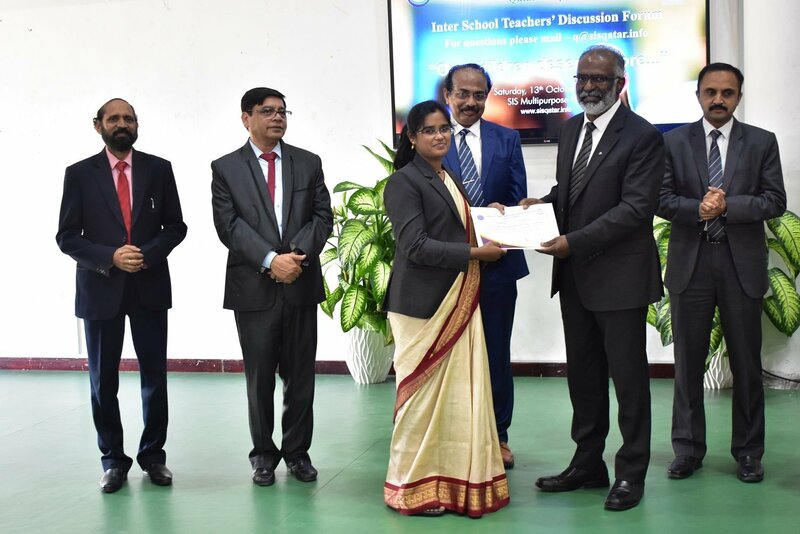 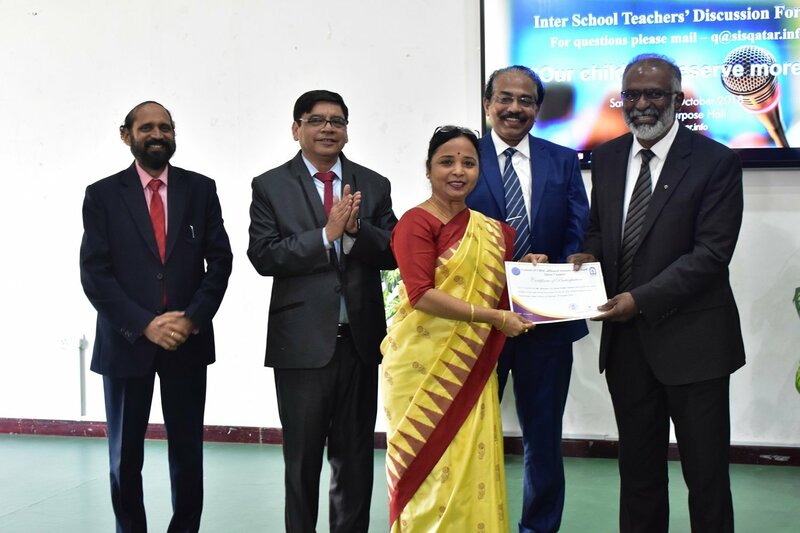 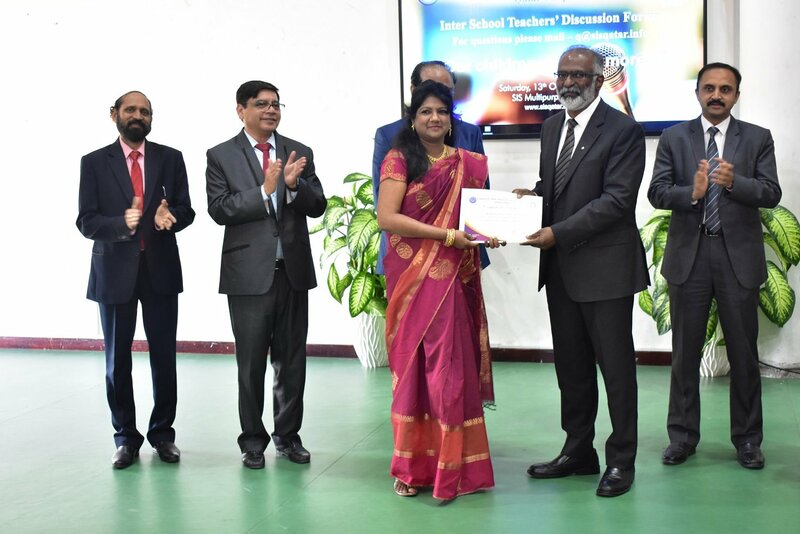 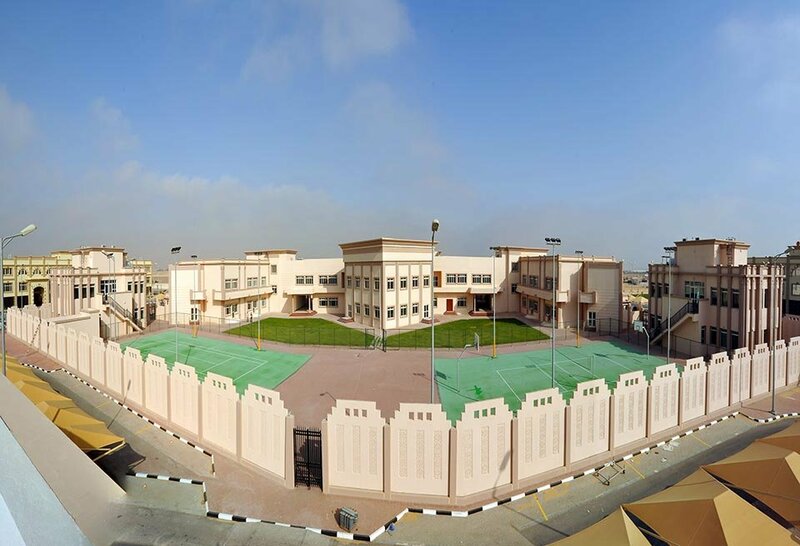 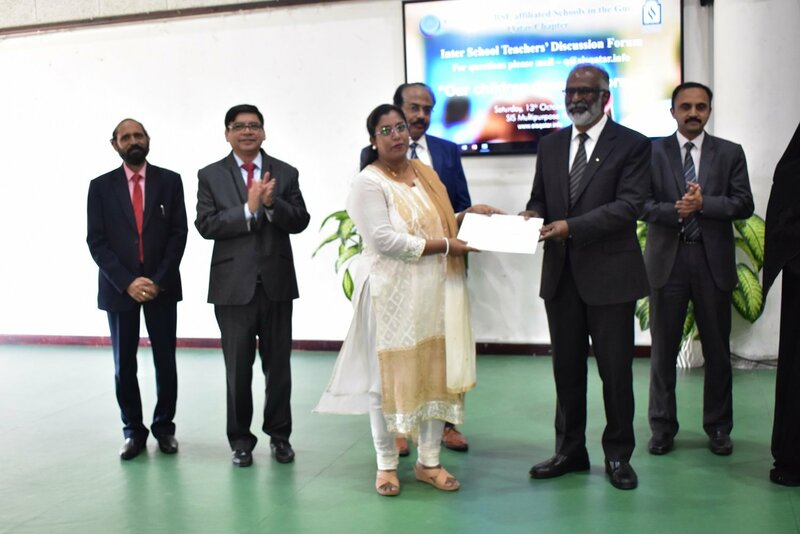 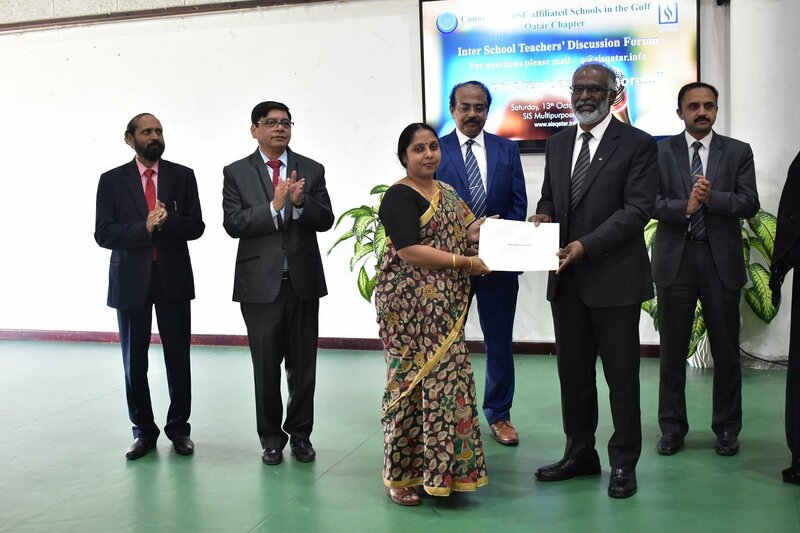 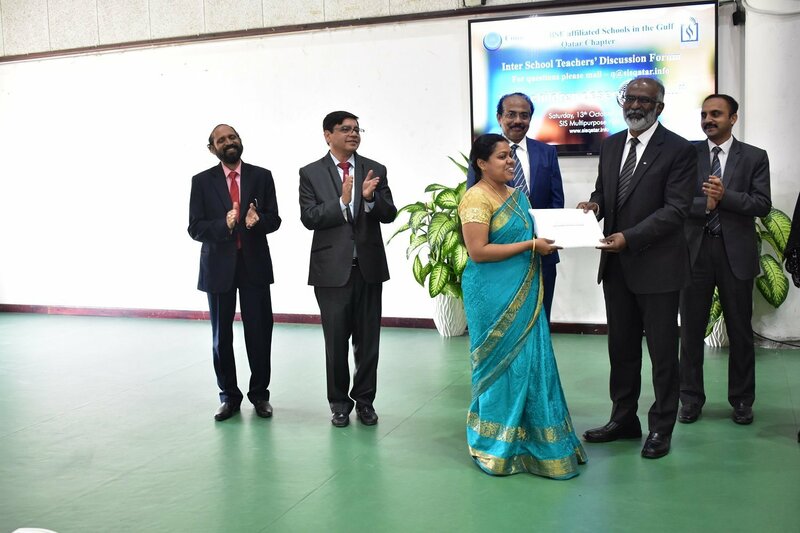 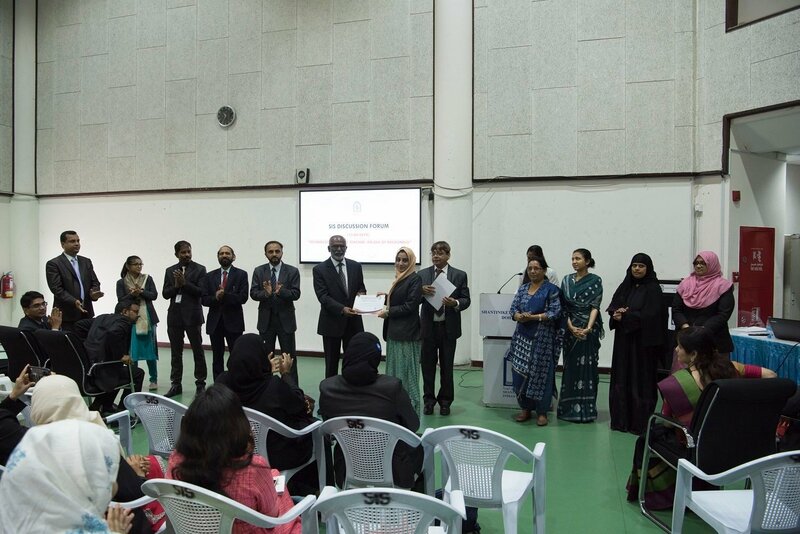 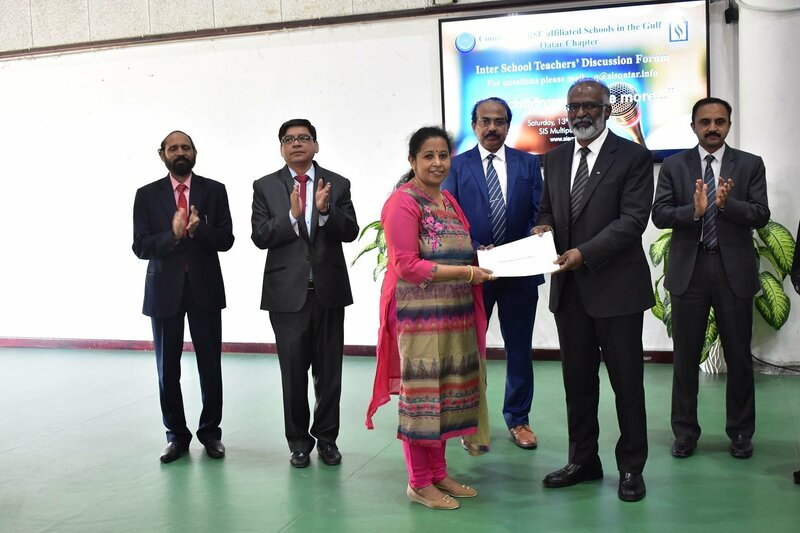 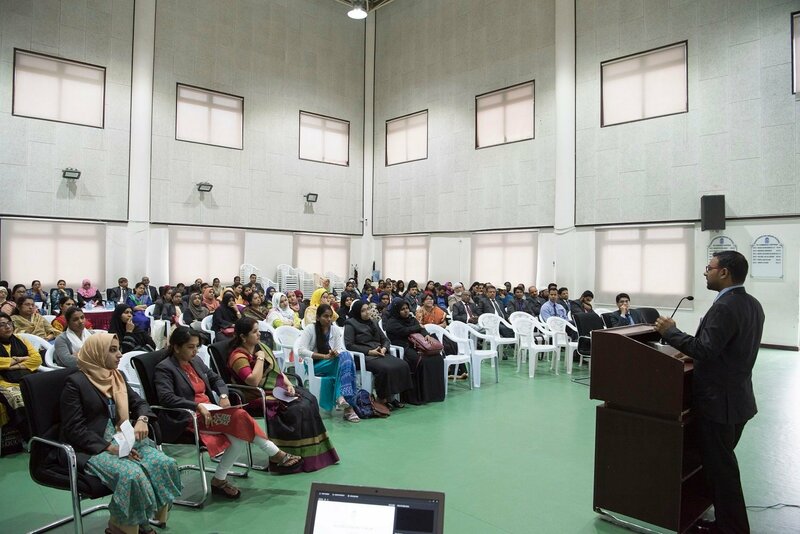 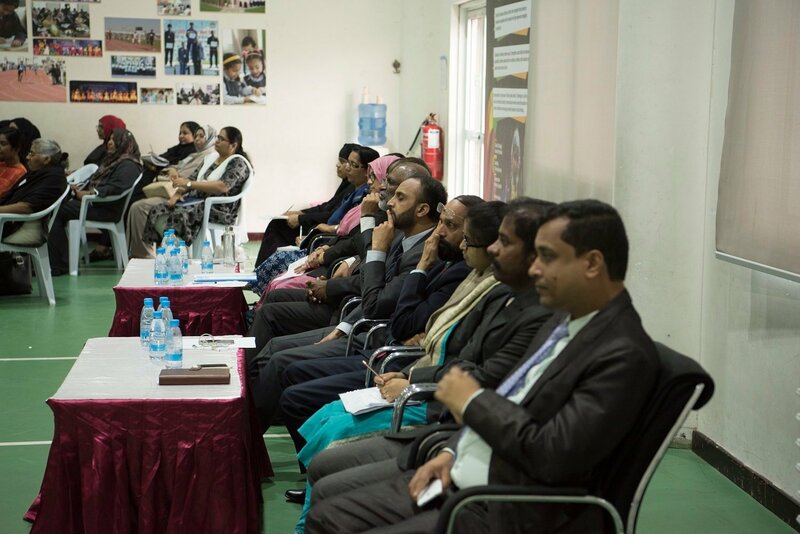 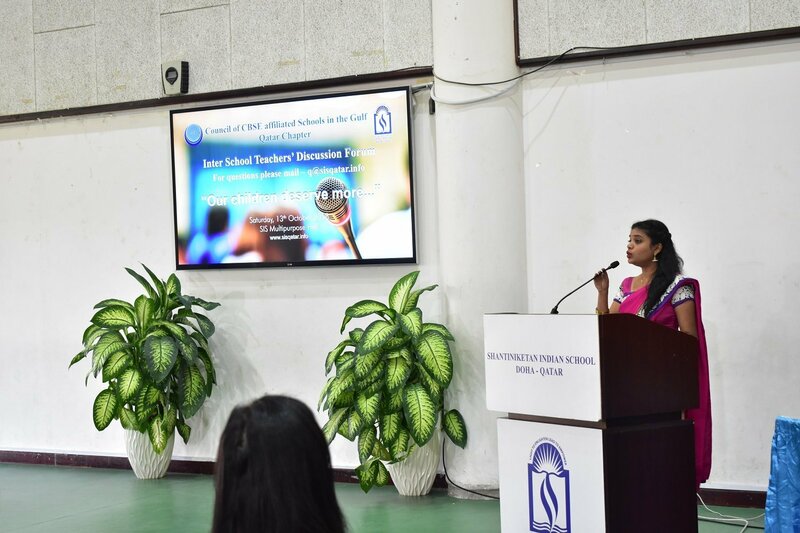 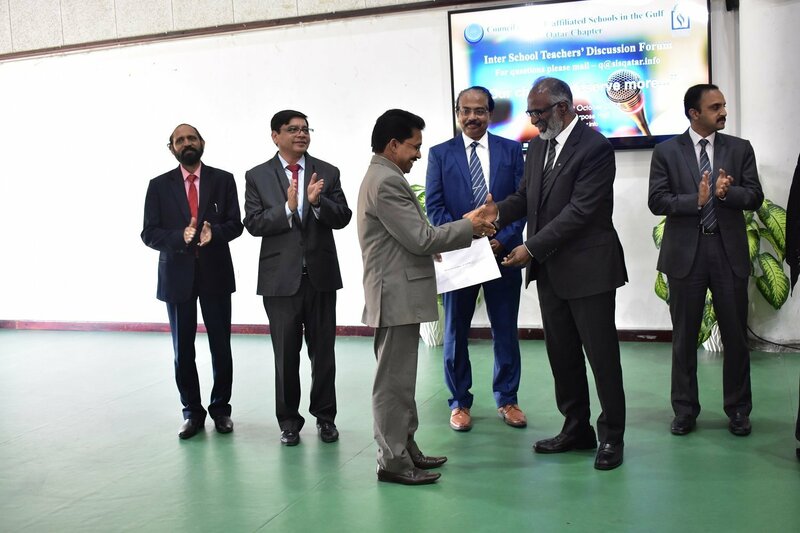 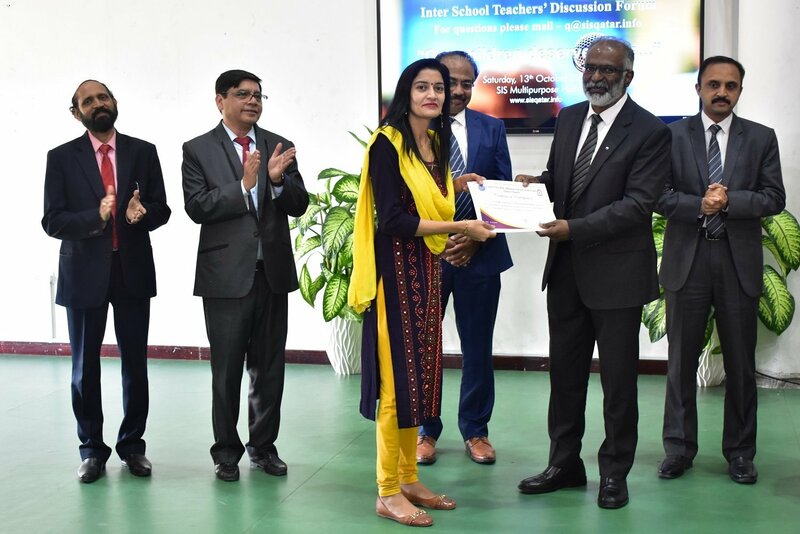 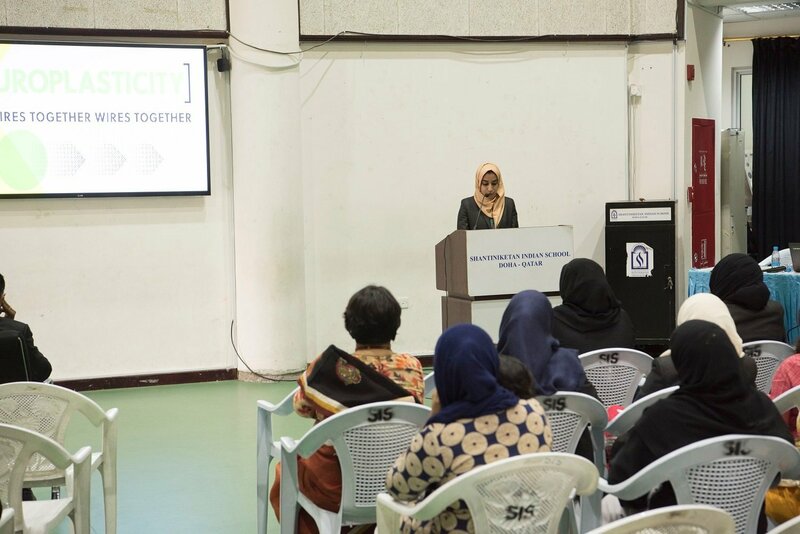 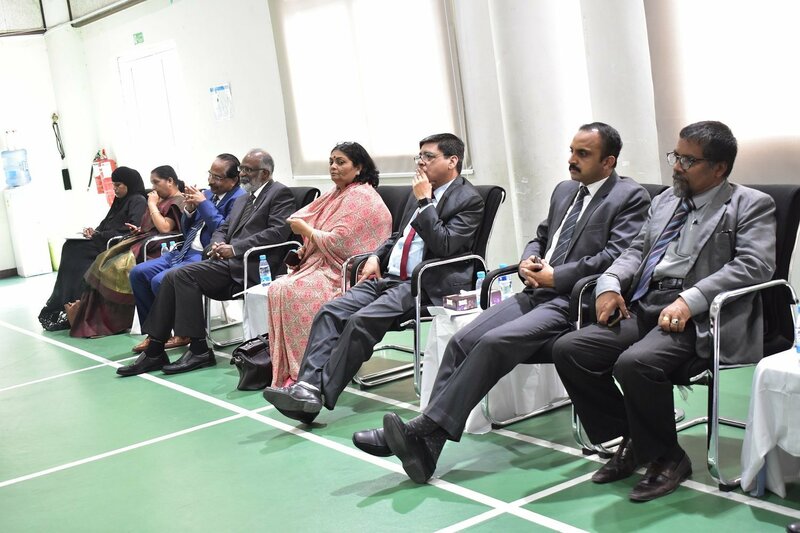 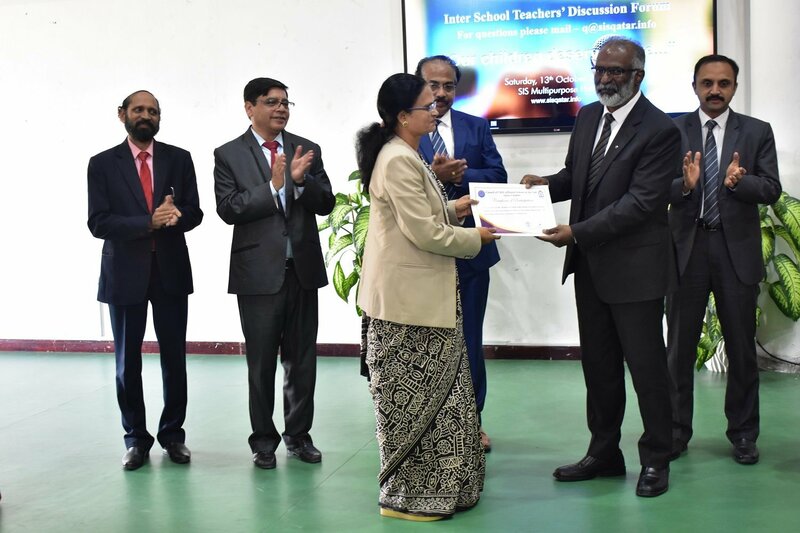 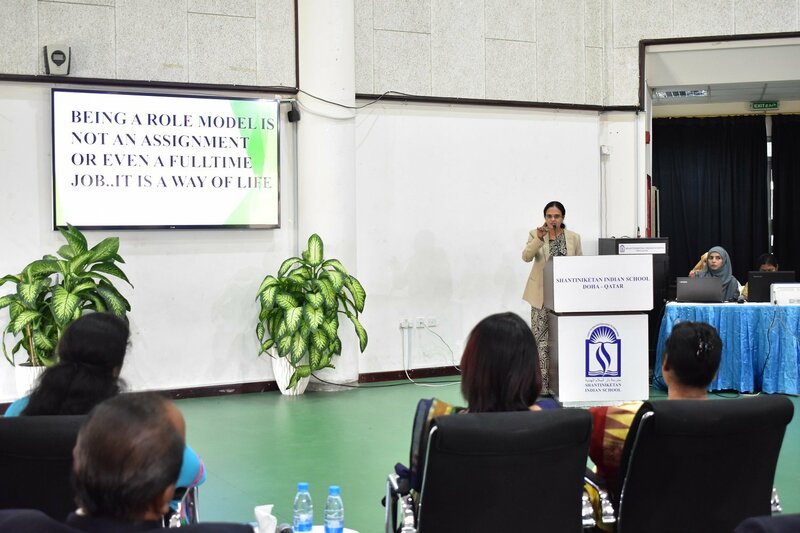 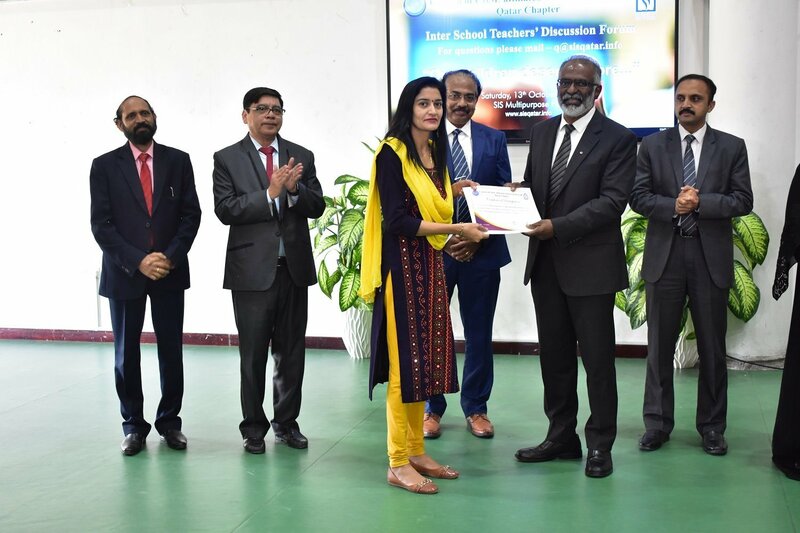 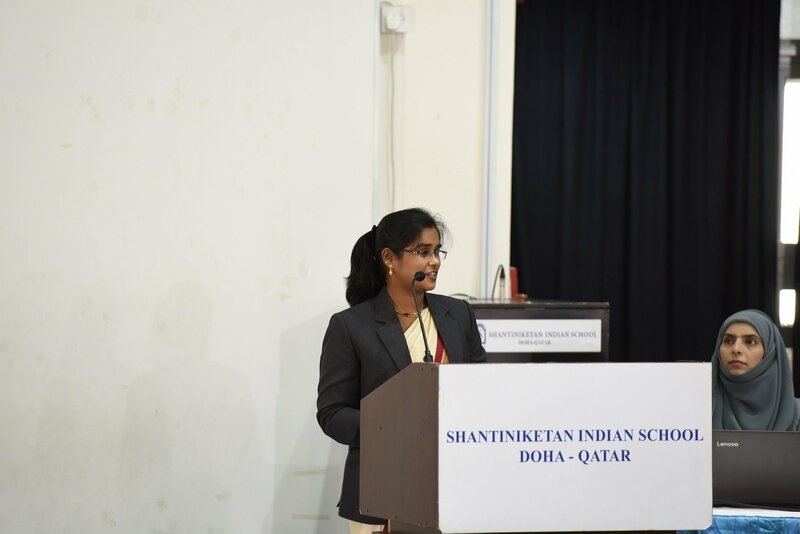 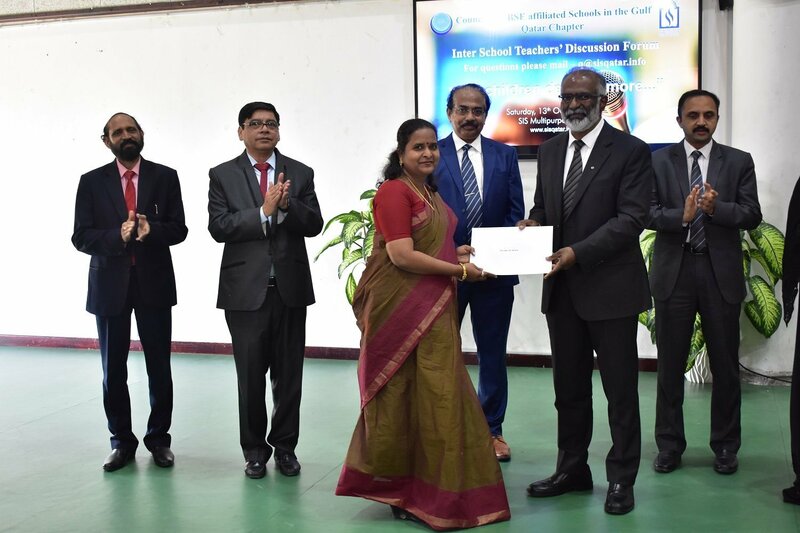 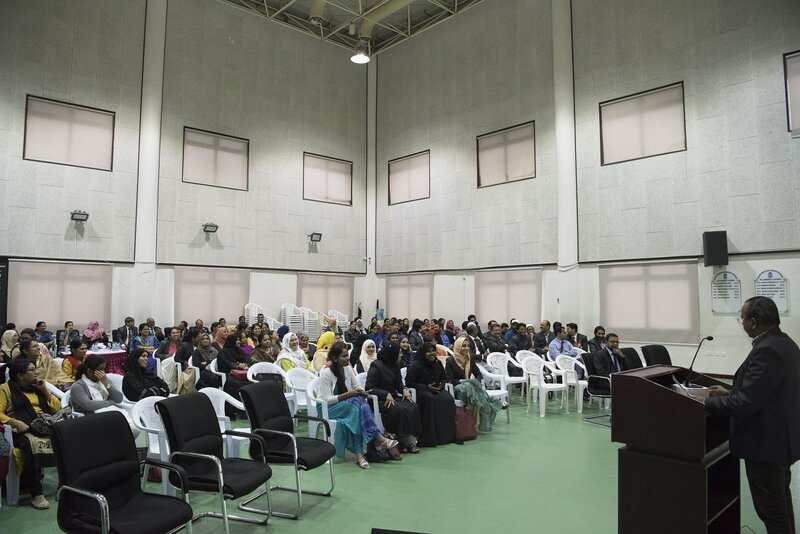 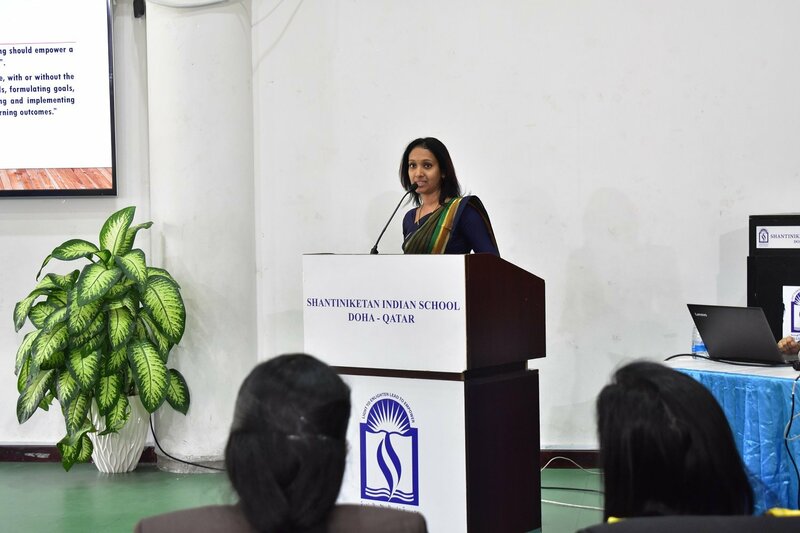 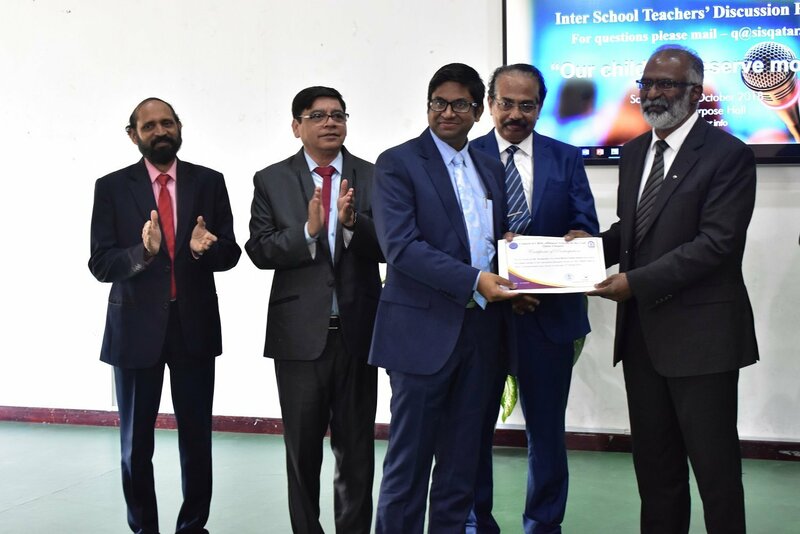 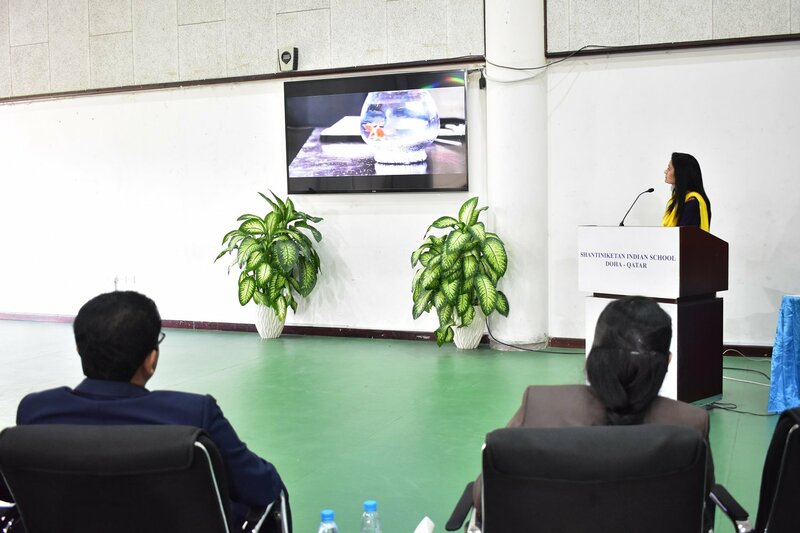 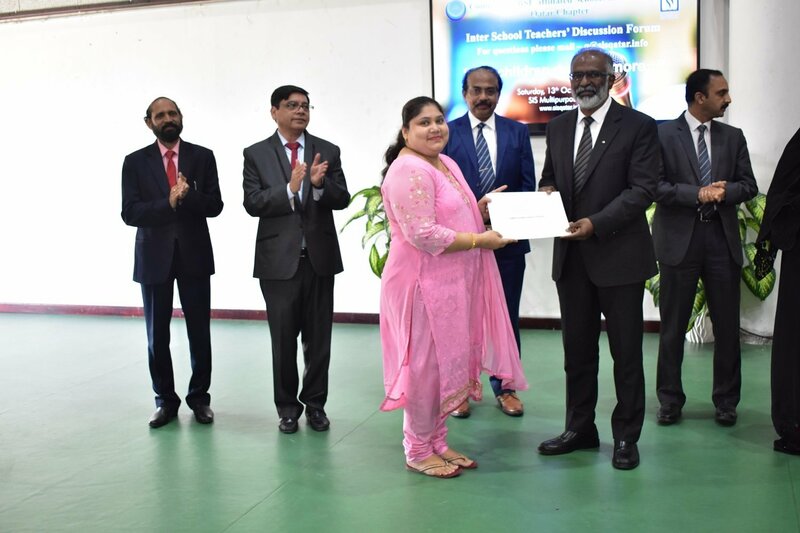 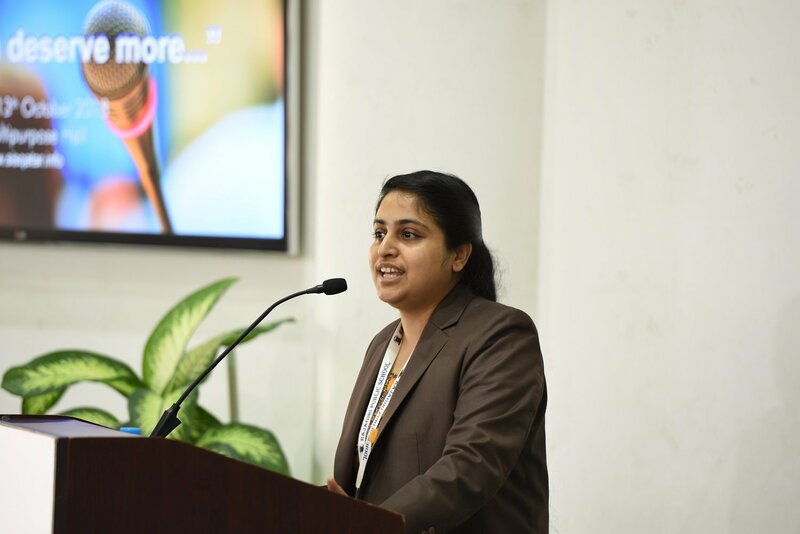 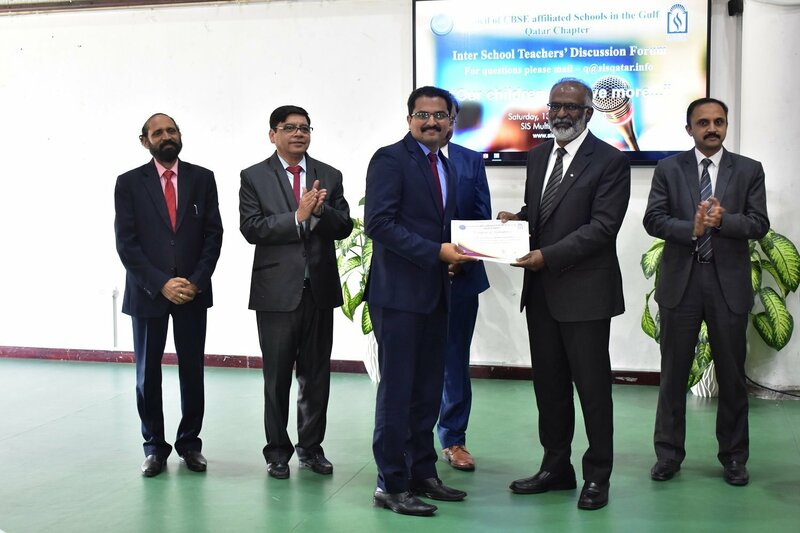 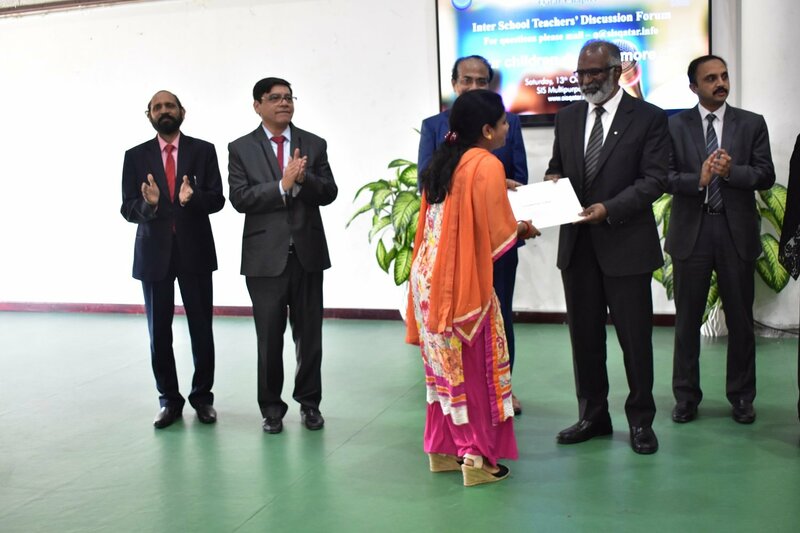 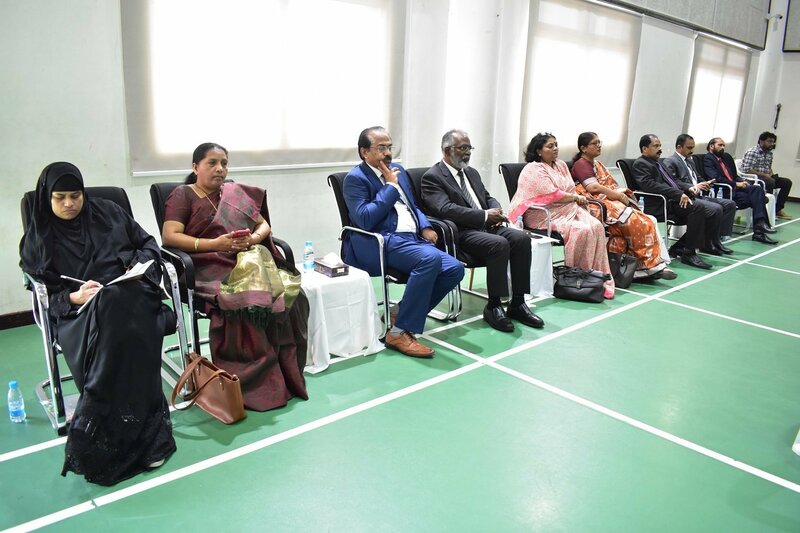 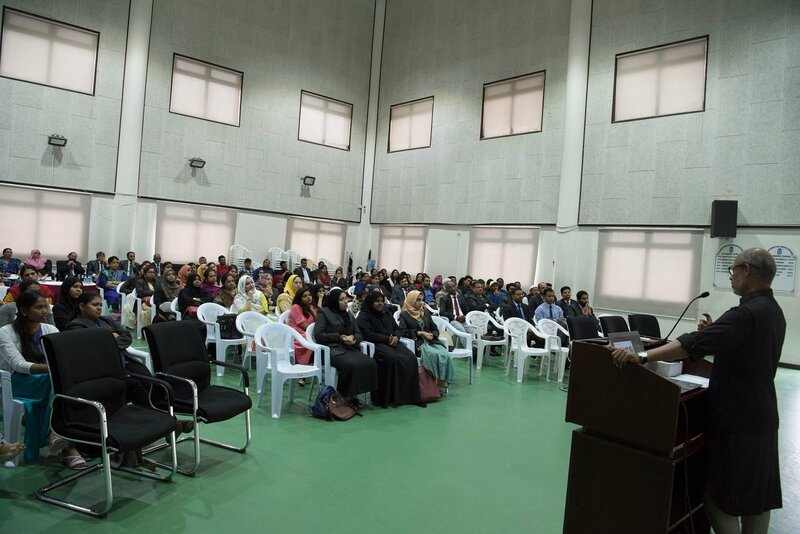 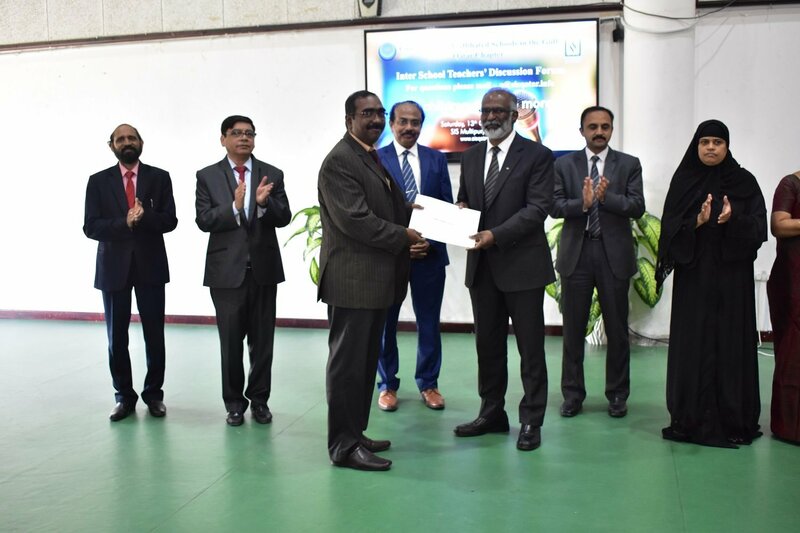 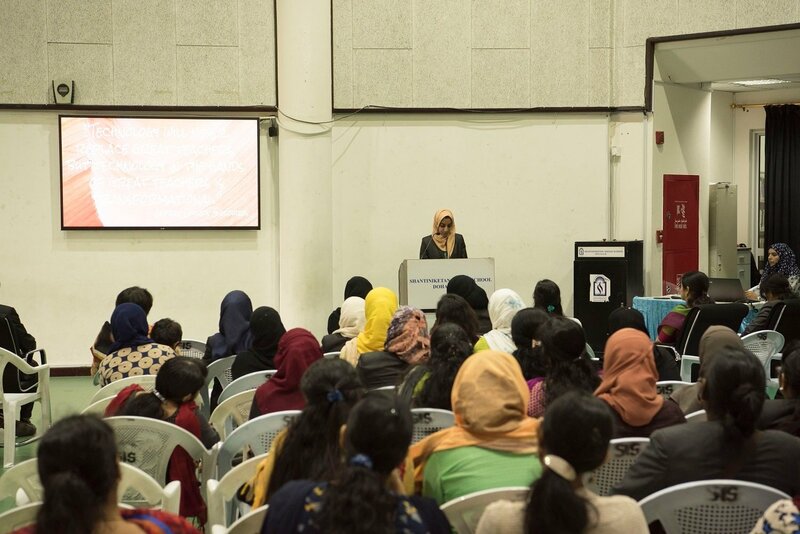 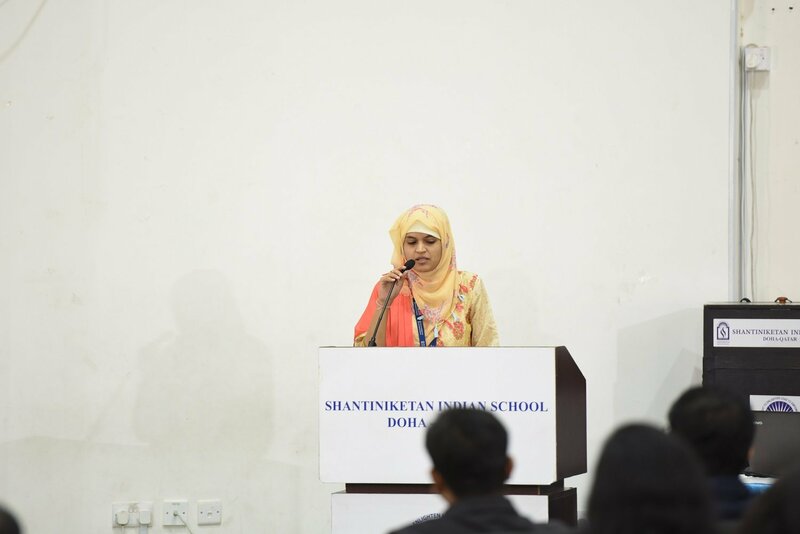 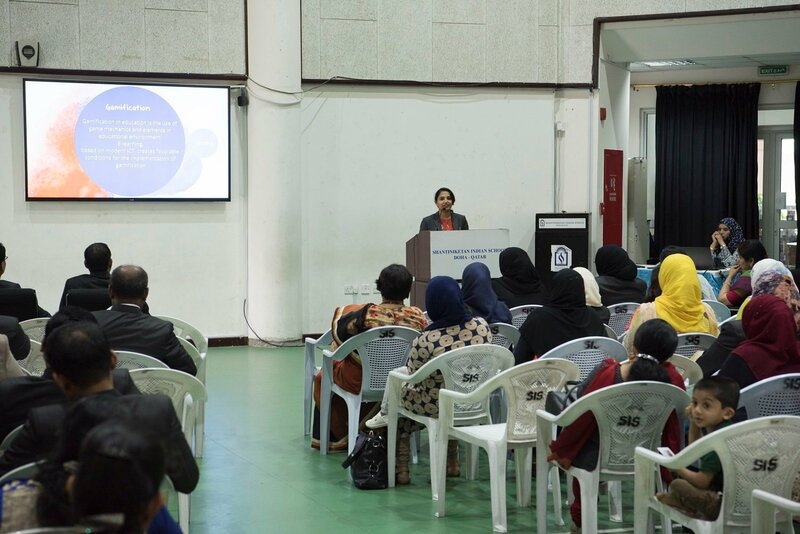 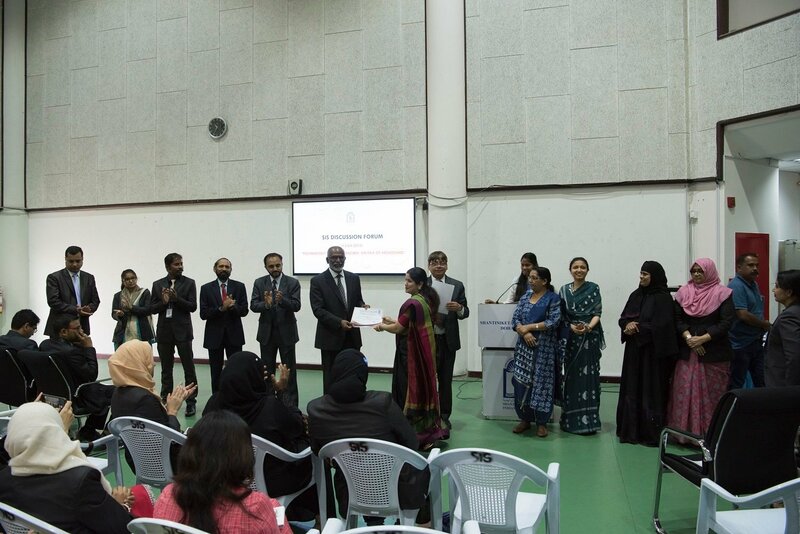 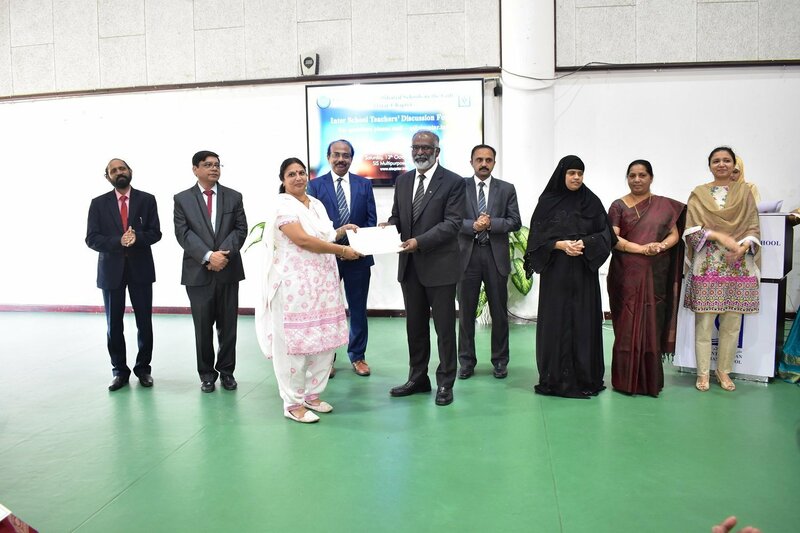 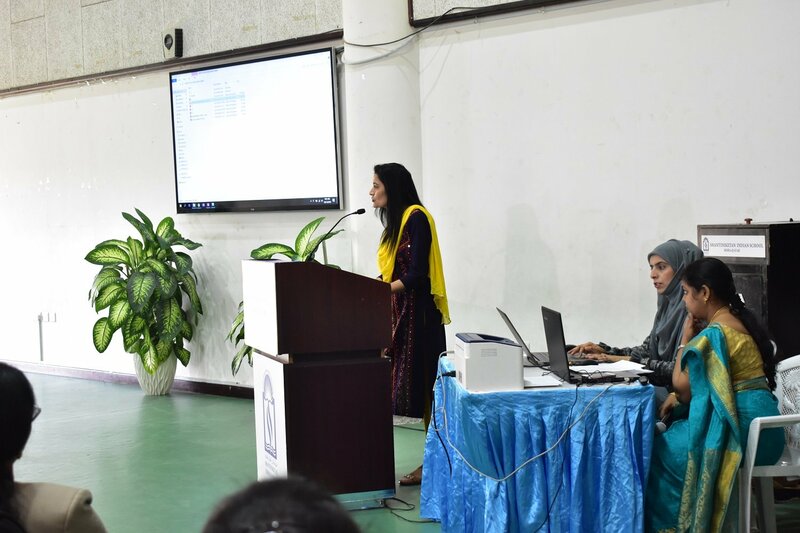 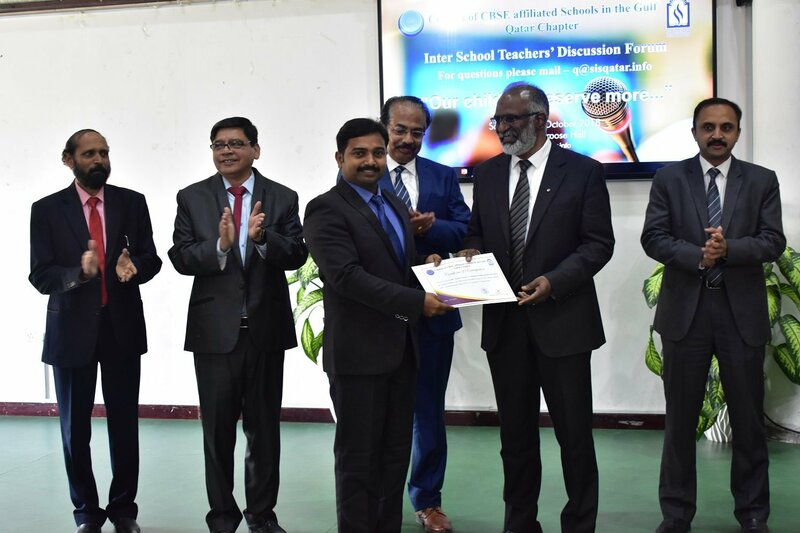 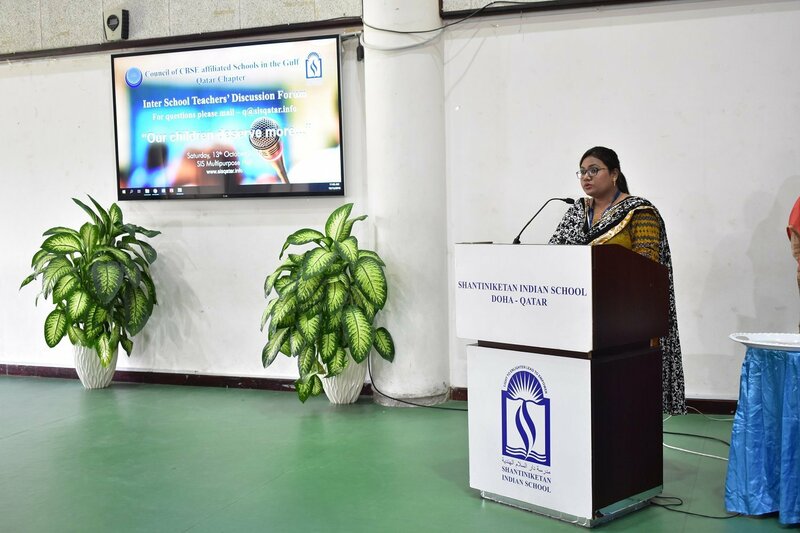 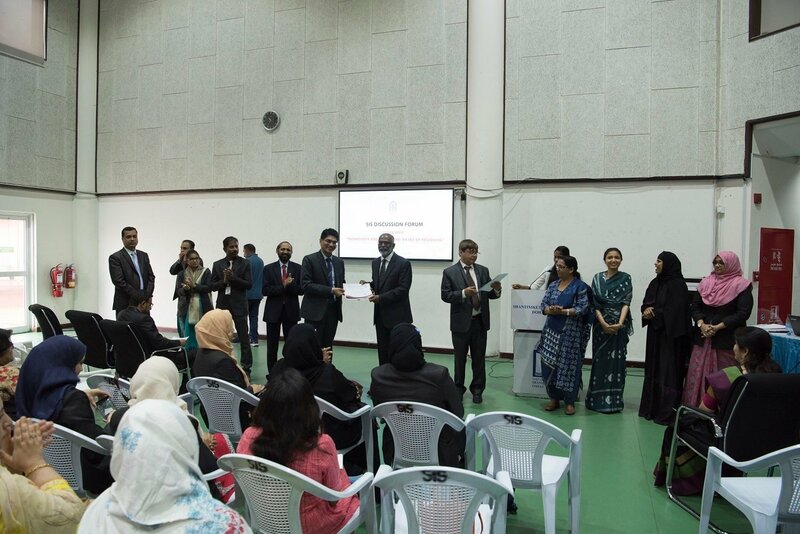 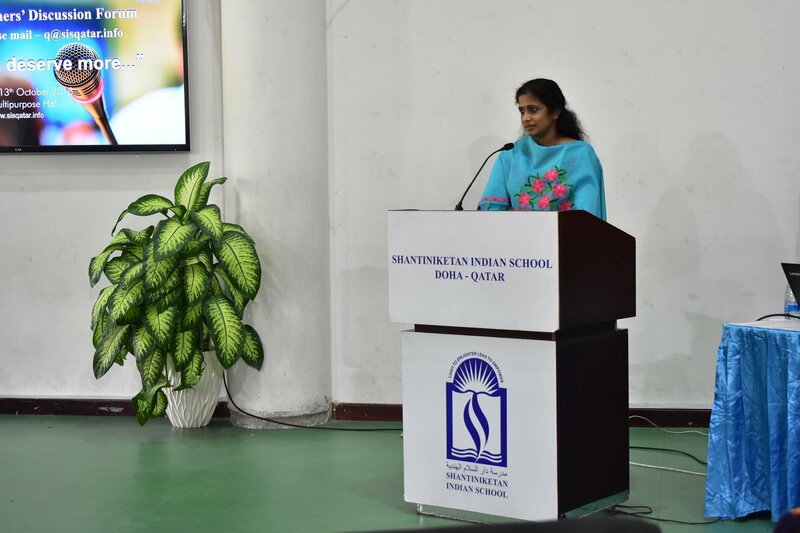 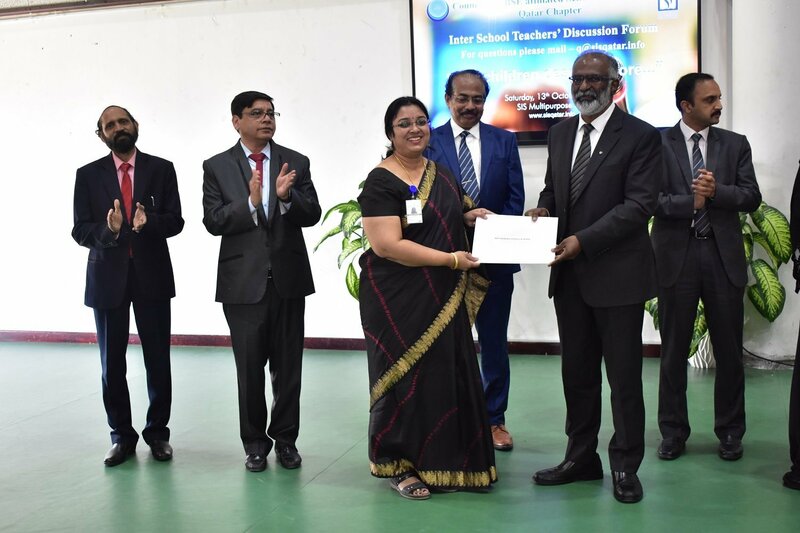 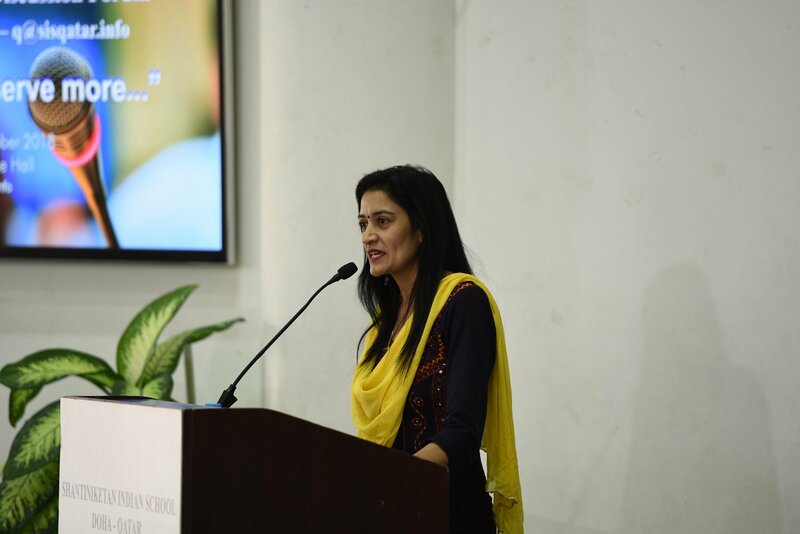 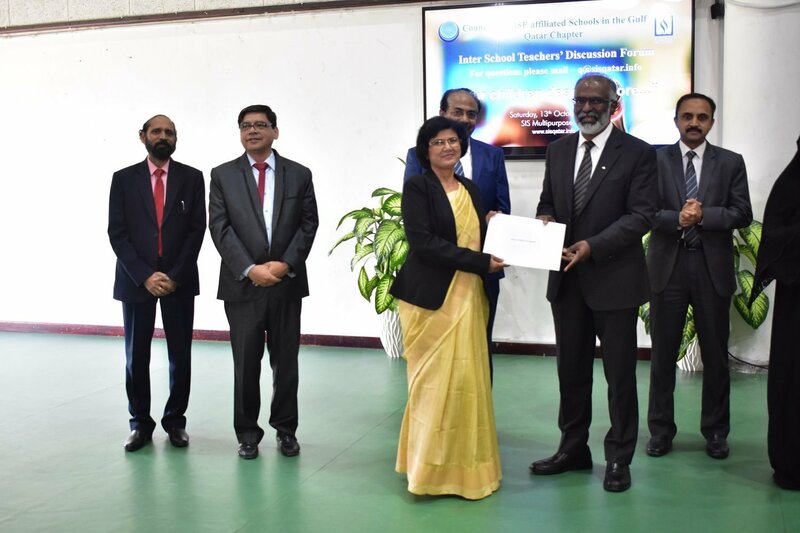 She expressed the gratitude of the teaching community towards the Qatar Chapter of the council of CBSE affiliated schools and SIS School management for organizing the event.